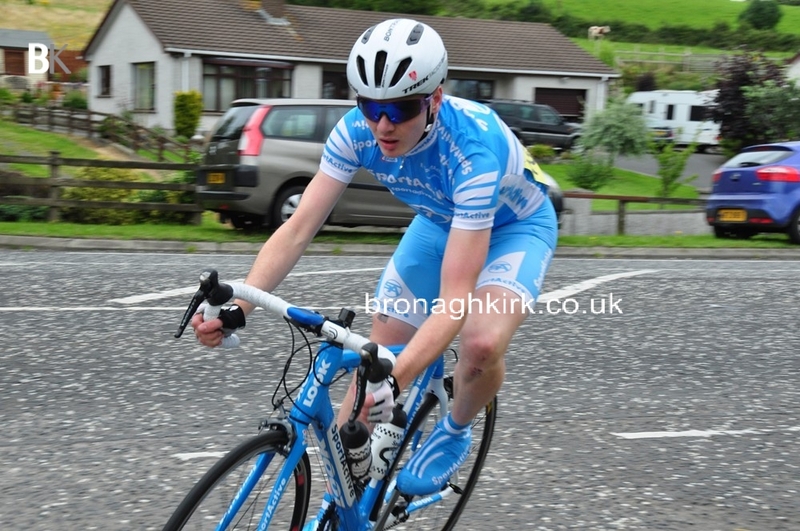 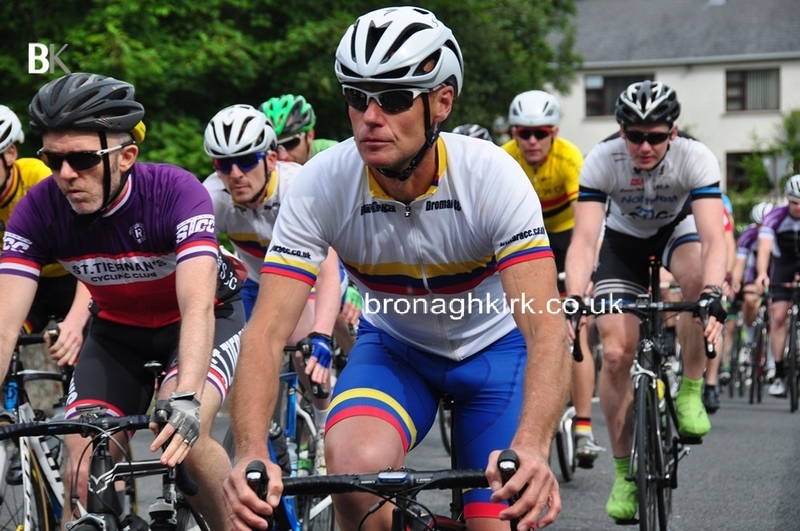 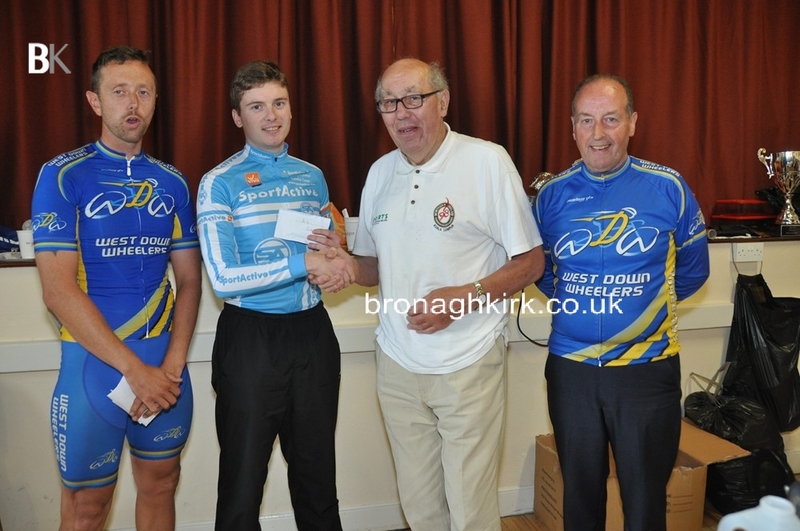 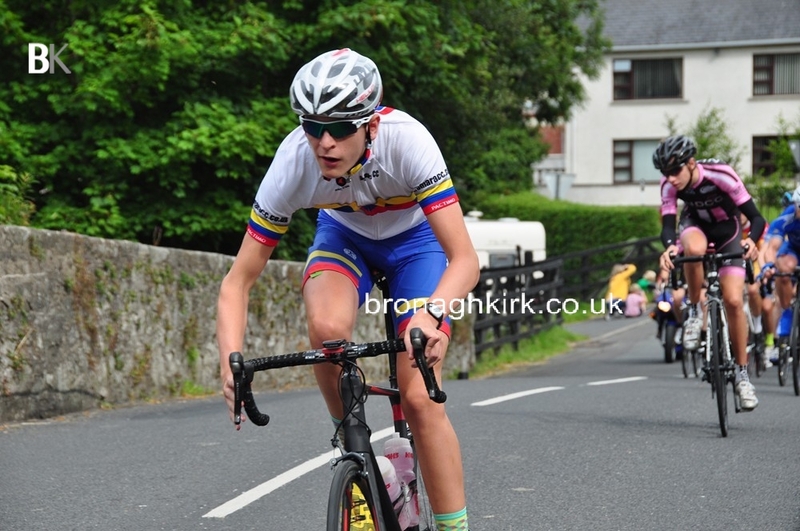 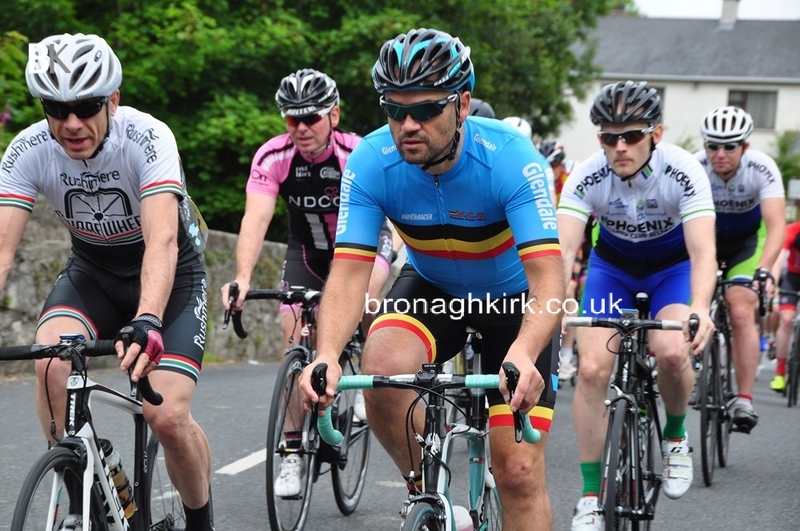 James Curry (Banbridge CC) won today’s West Down Grand Prix at Katesbridge, after an impressive attack to leave the race long break on Rathfriland Hill. 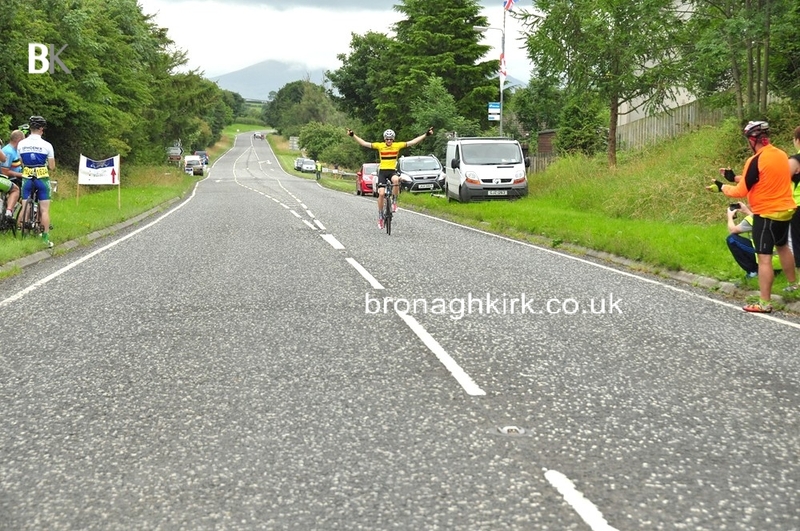 The talented all rounder was 33 seconds ahead at the finish line four miles later. 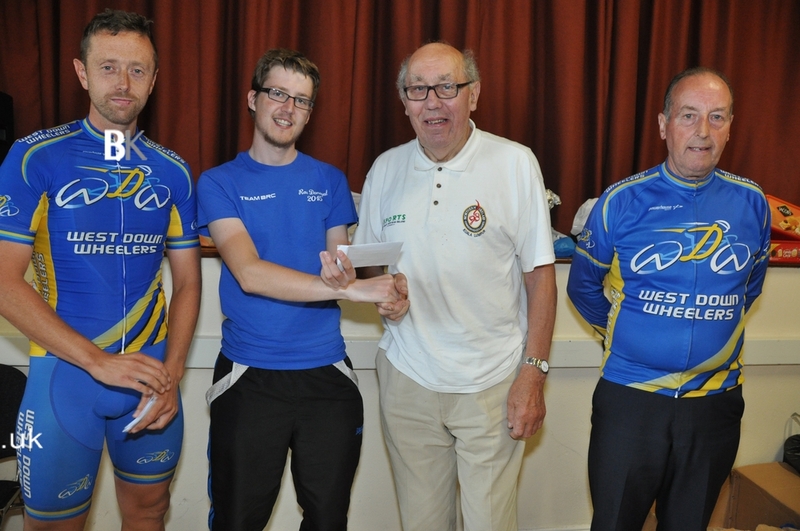 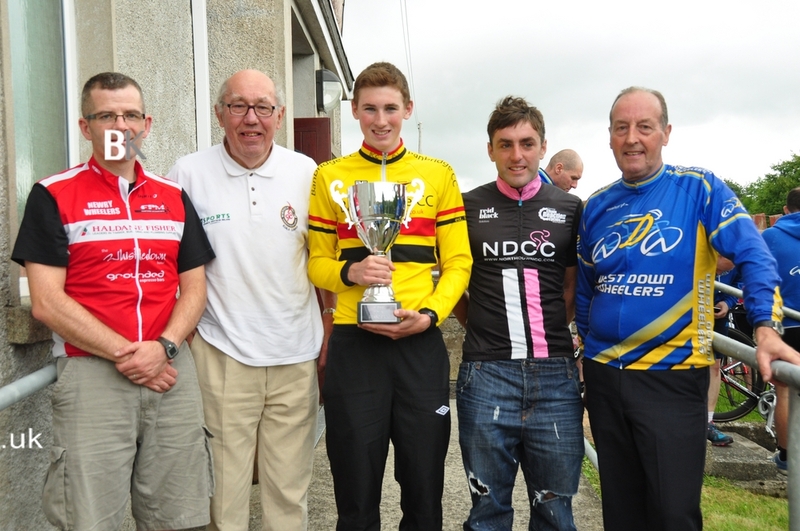 Kevin Lynch (Newry) beat James Ambrose (North Down CC) for second place with Paul Wilkinson of the promoting club West Down wheelers fourth and Matthew Brennan (Ballymenta RC) fifth. 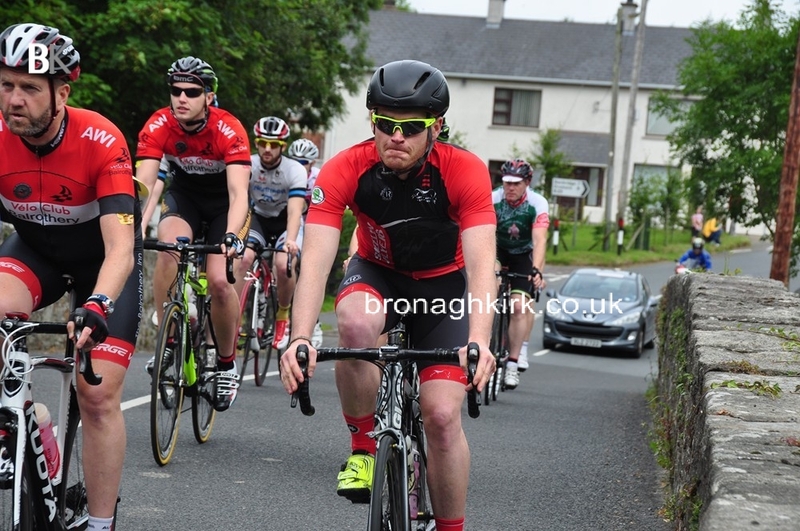 Stephen Hutchinson (Cookstown CT) had also been in the breakaway which had forged ahead on the first of 6 laps of the rolling 9 mile circuit. 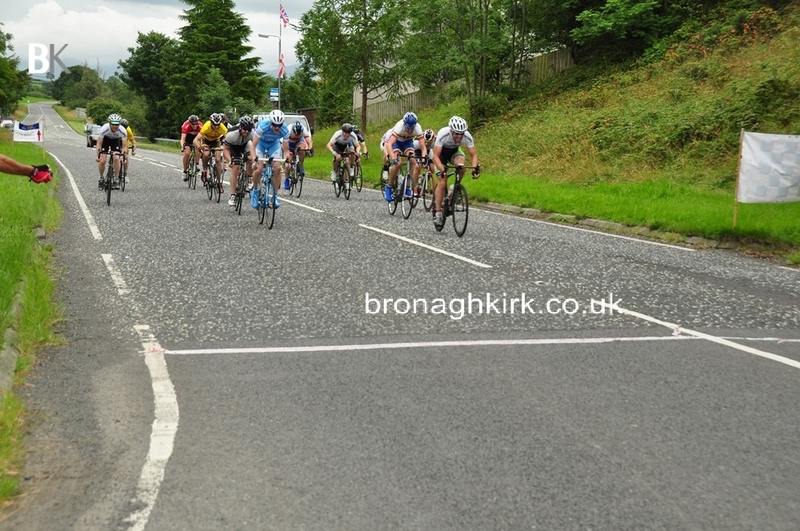 Hutchinson dropped back on Lap 5 and at one stage the bunch were only 20 seconds down on the leaders. 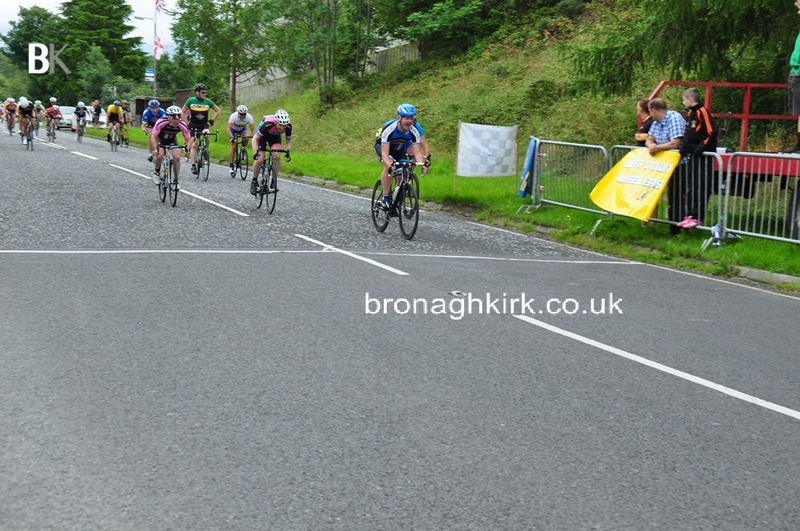 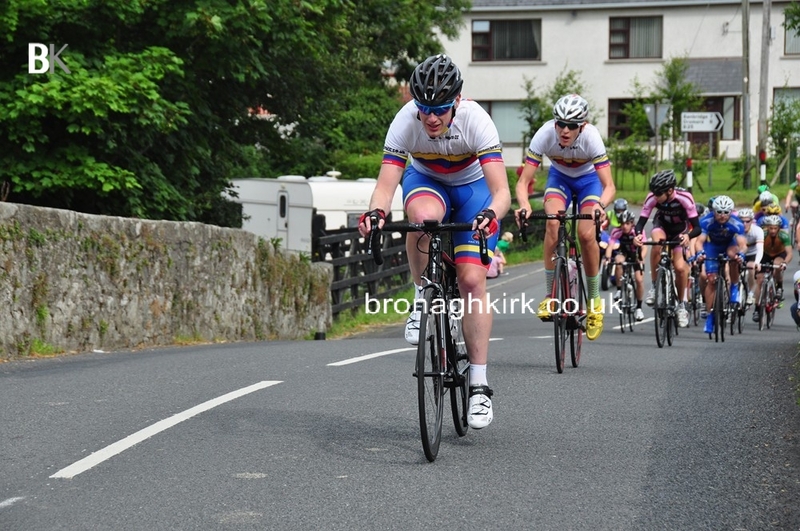 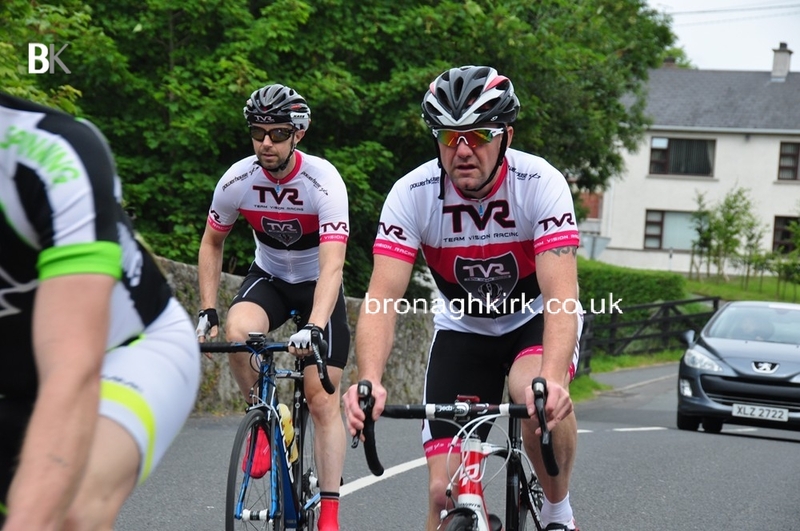 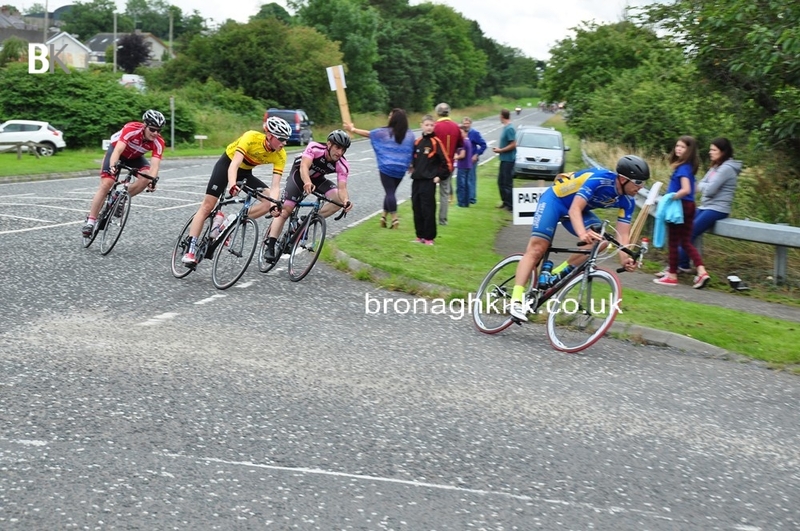 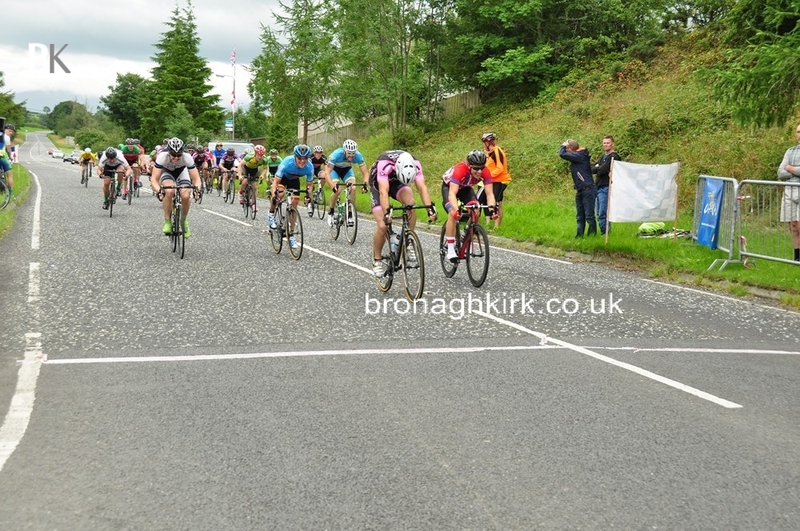 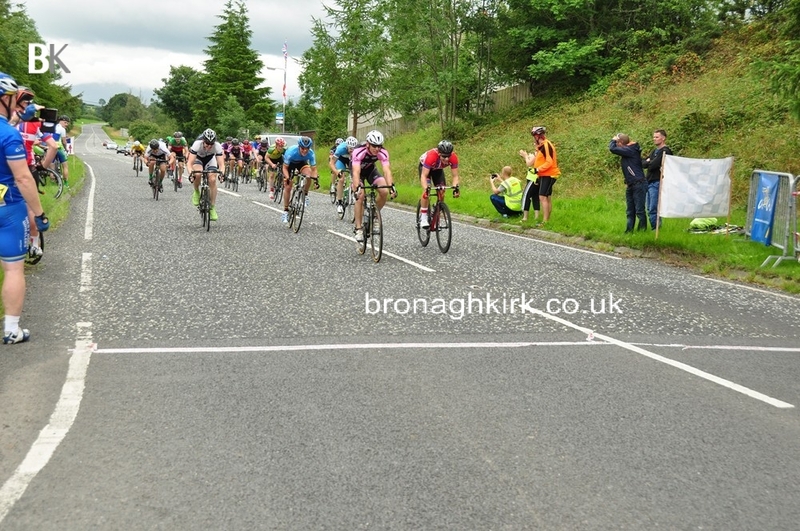 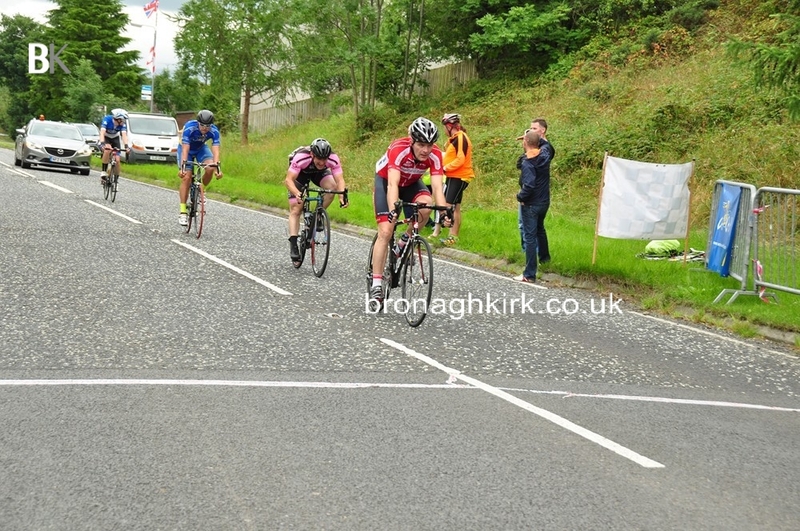 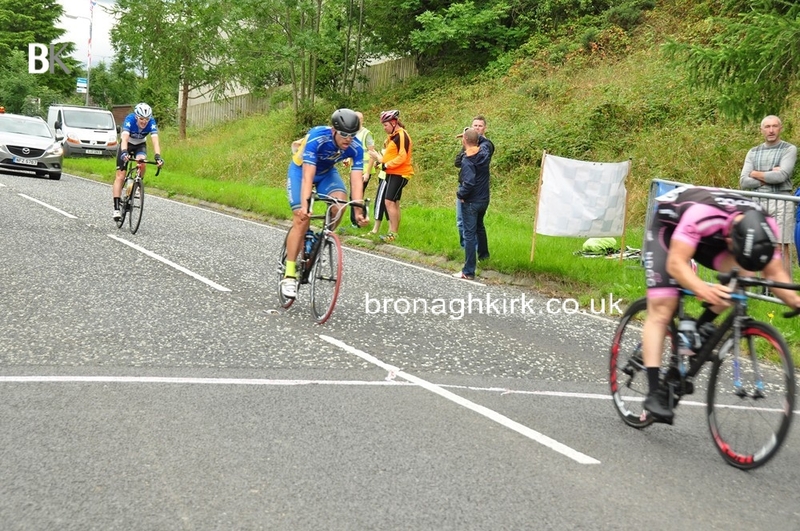 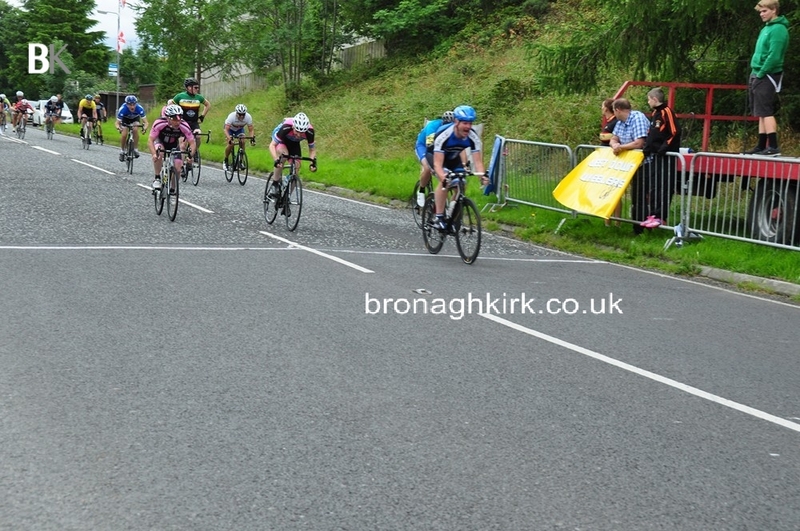 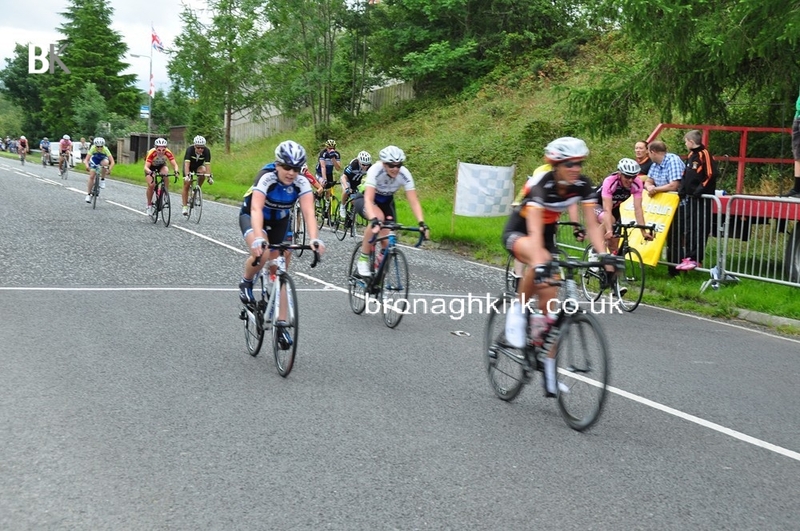 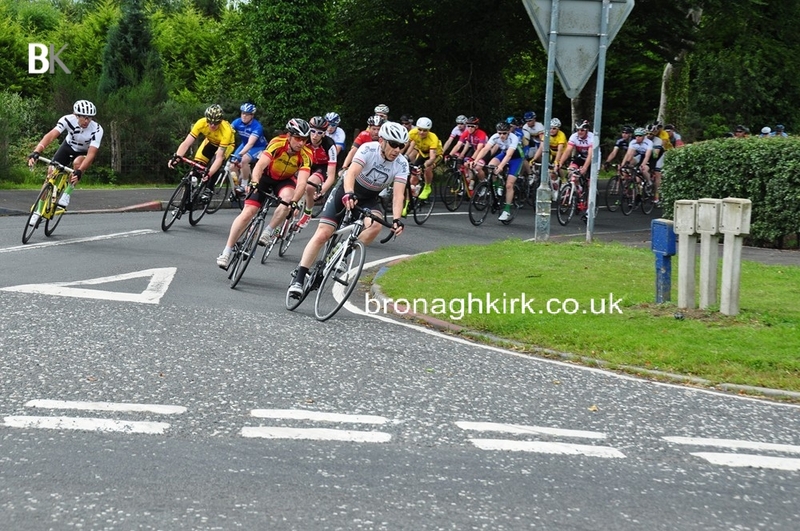 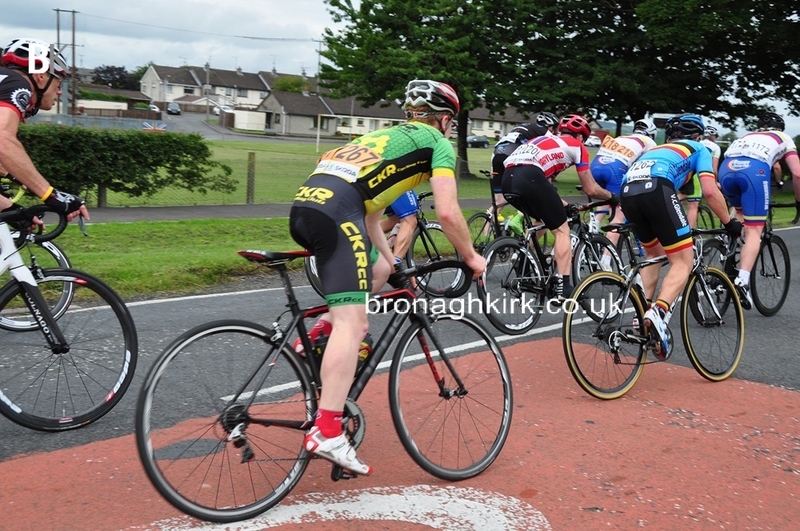 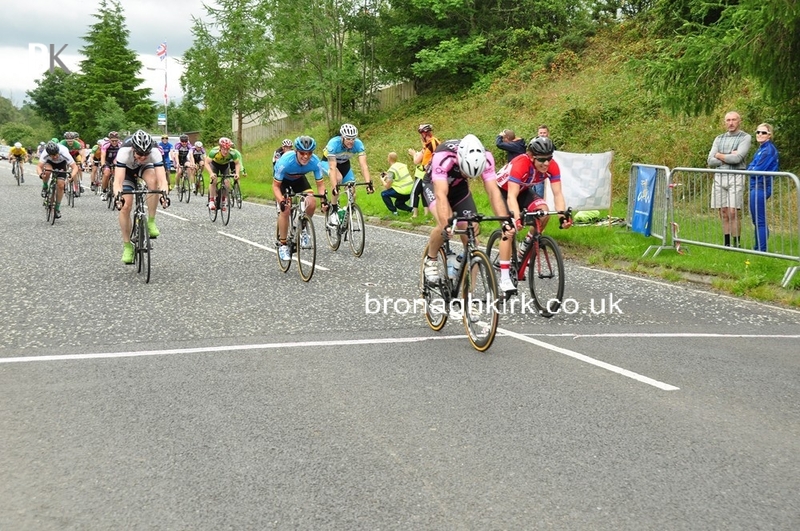 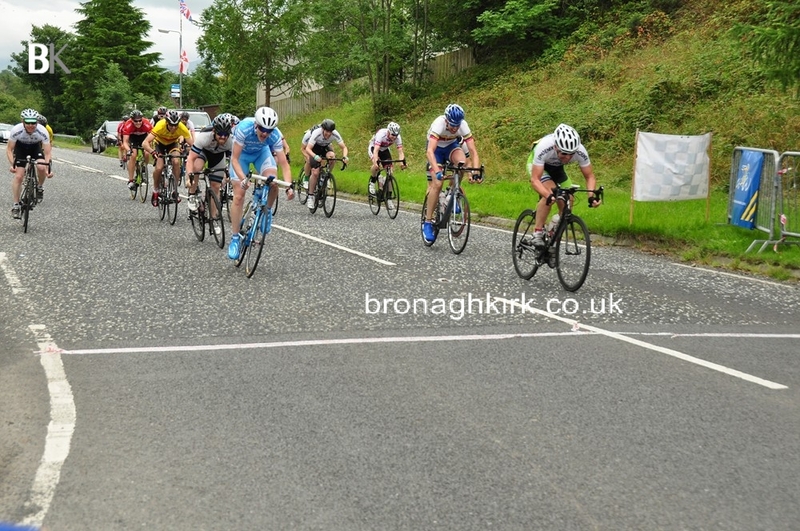 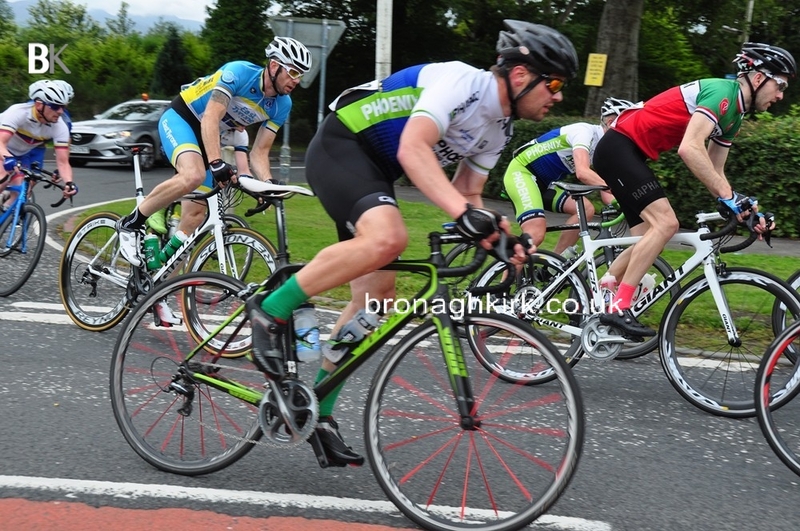 The gap opened up again on the final lap and when Curry surged ahead on the Rathfriland climb which was only done on the final lap, his breakaway partners had no reply. 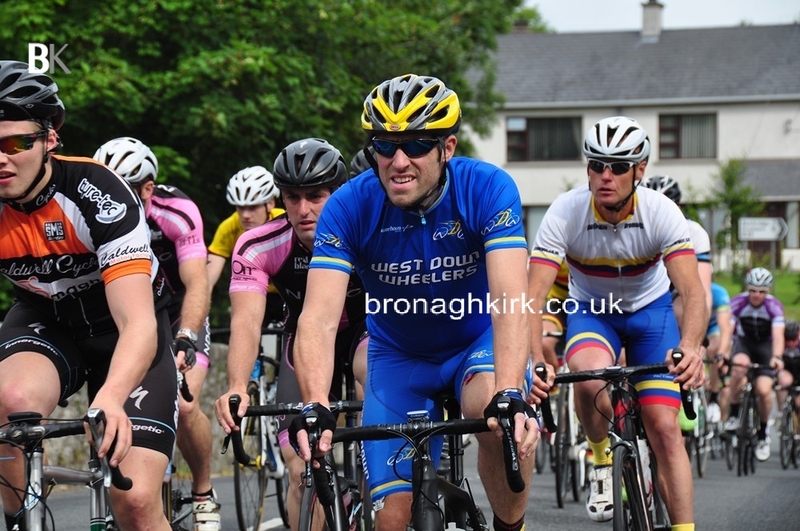 West Down man Darren Lynas was sixth with Shaun Carey (North Down CC) seventh. 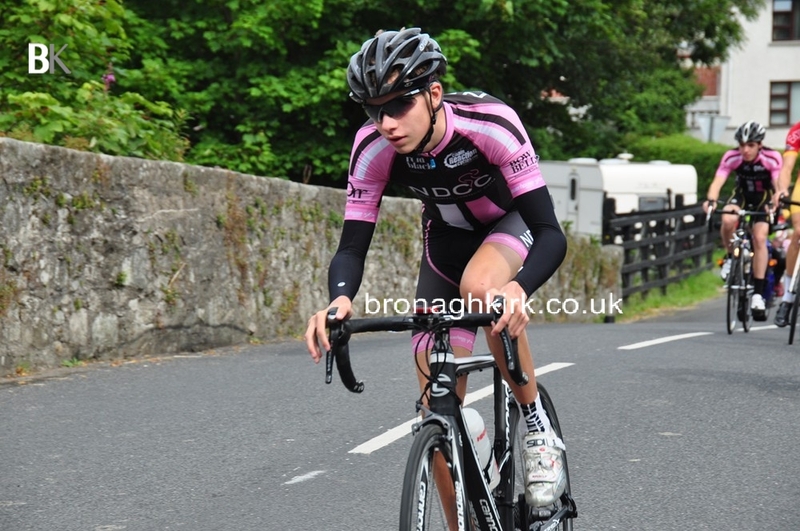 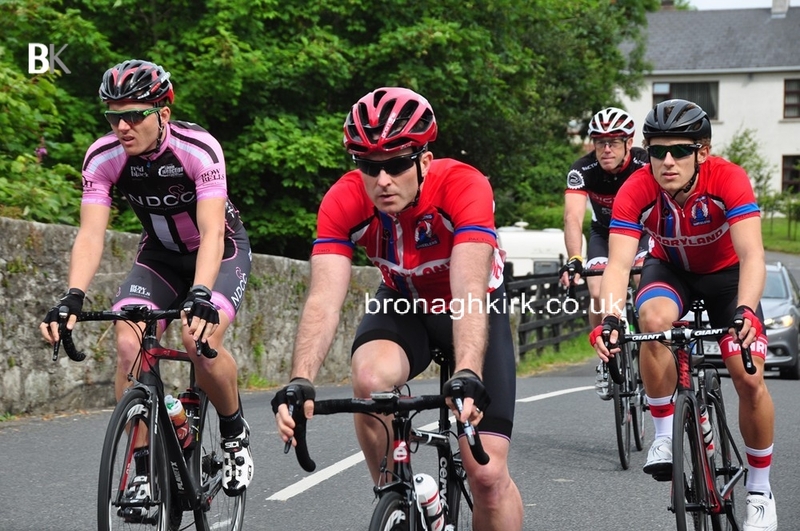 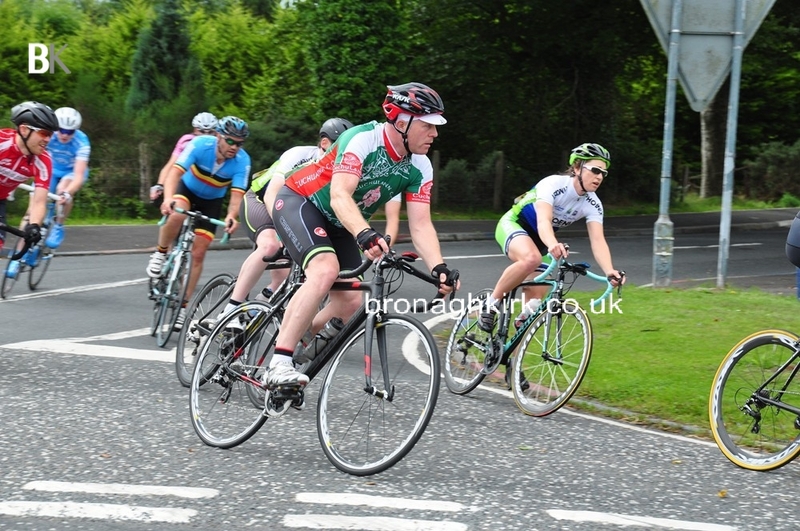 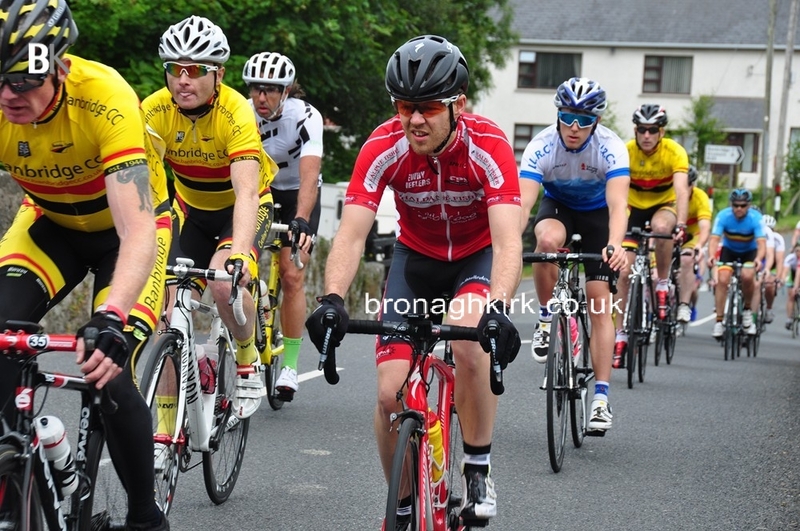 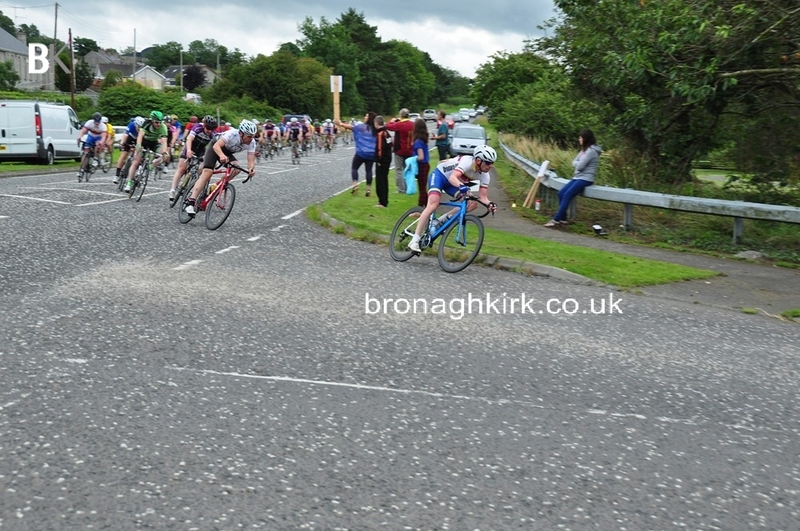 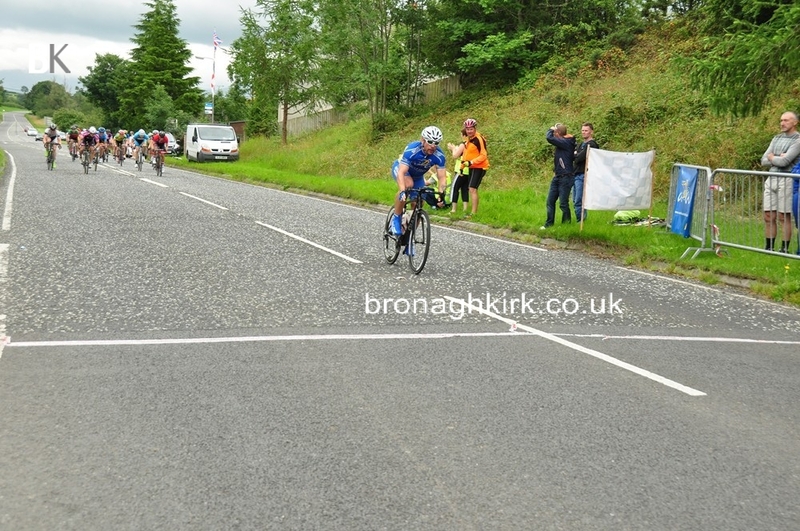 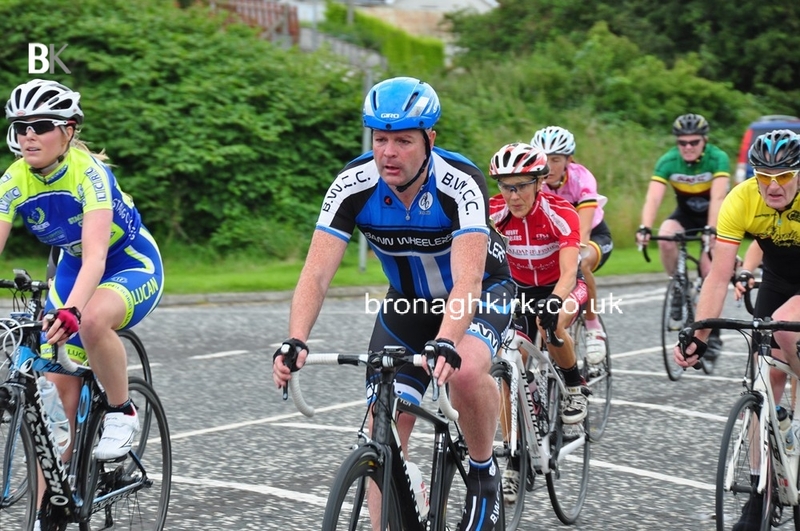 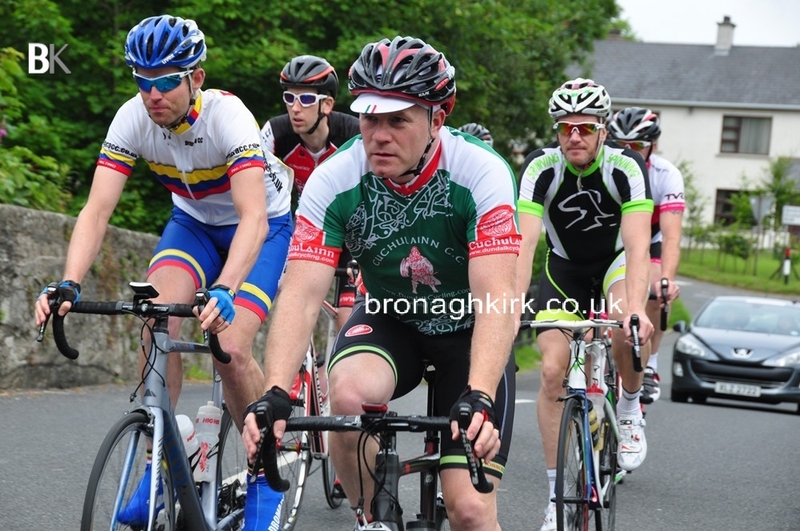 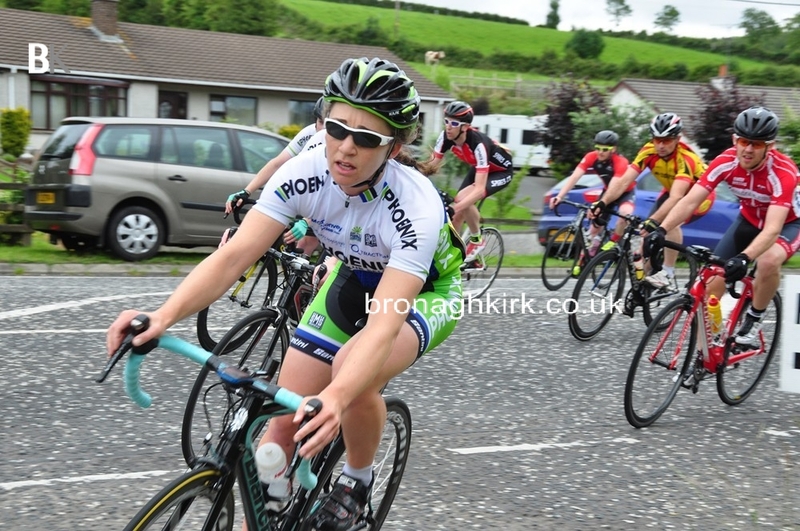 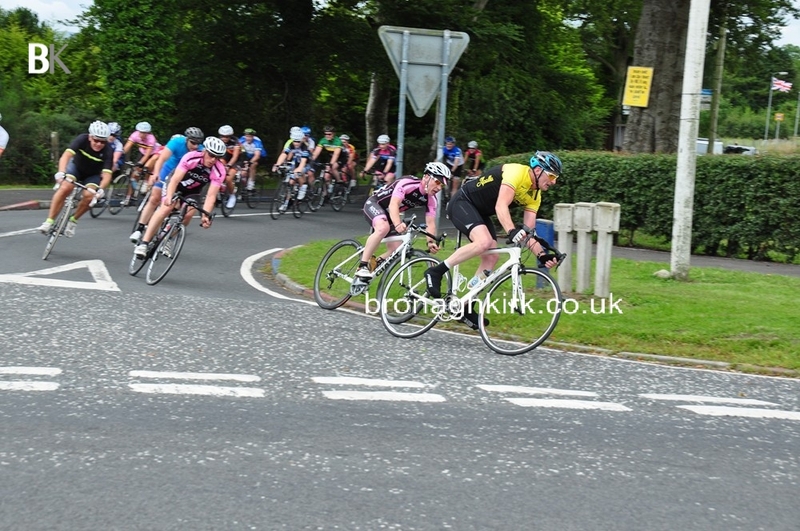 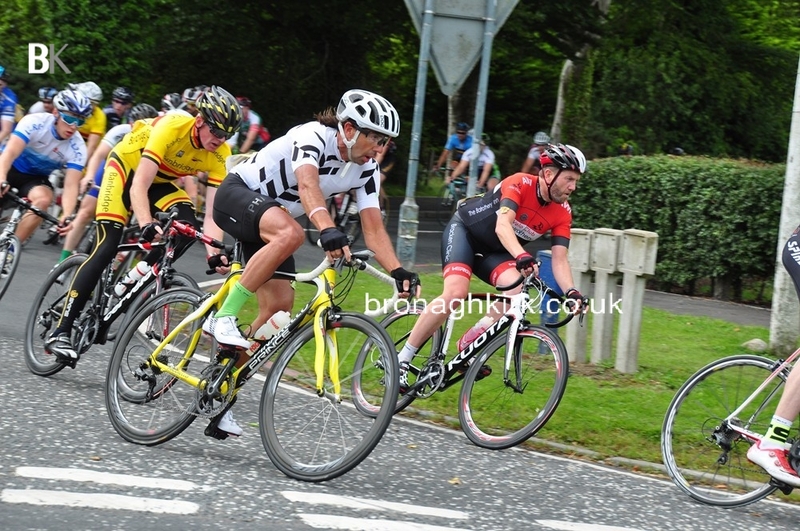 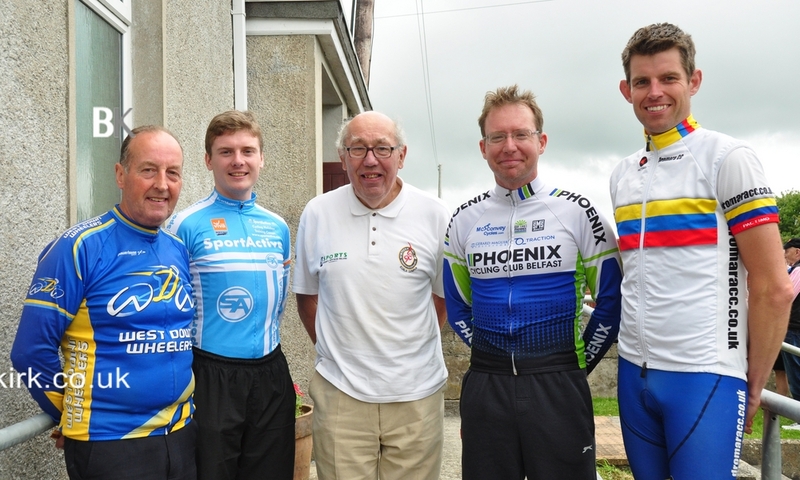 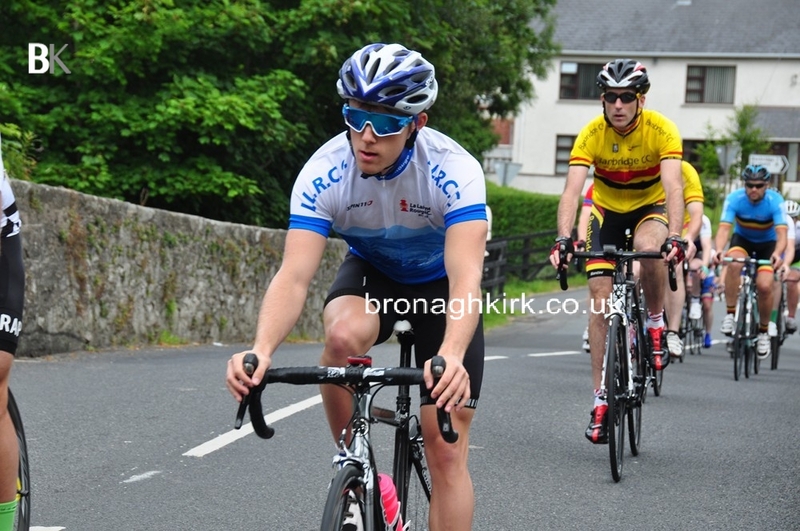 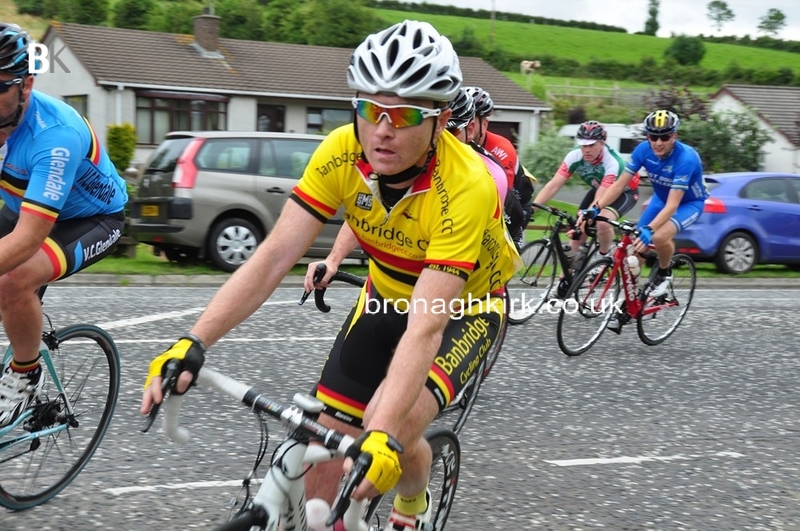 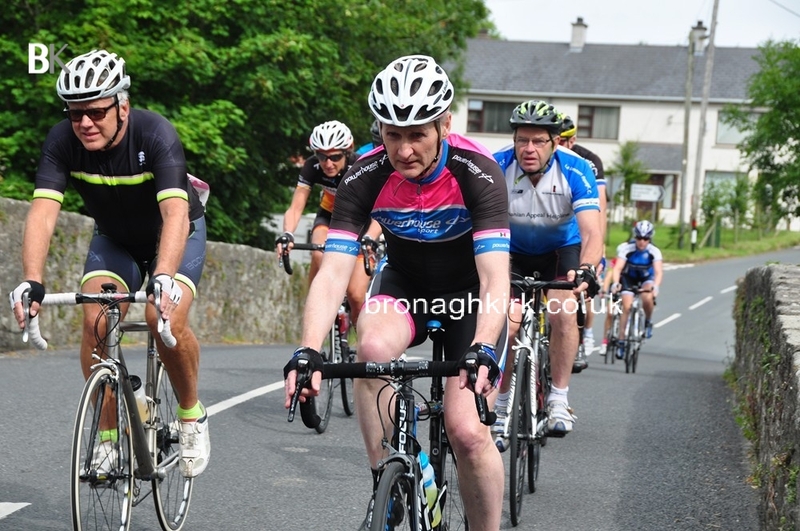 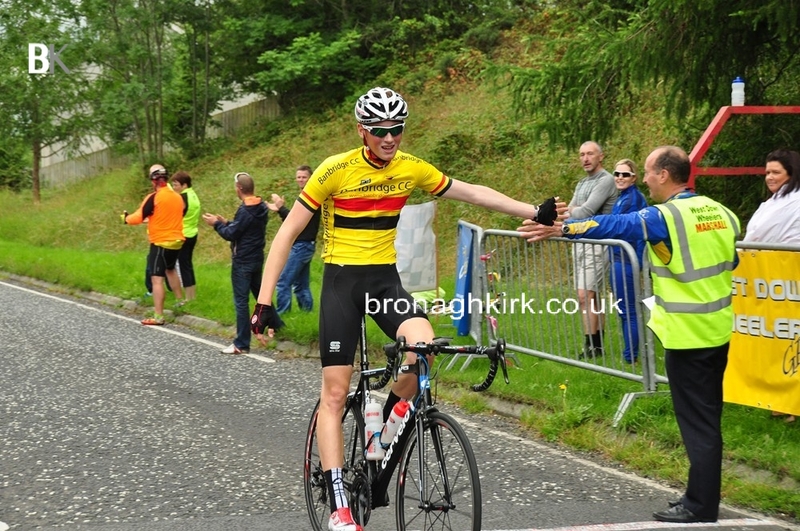 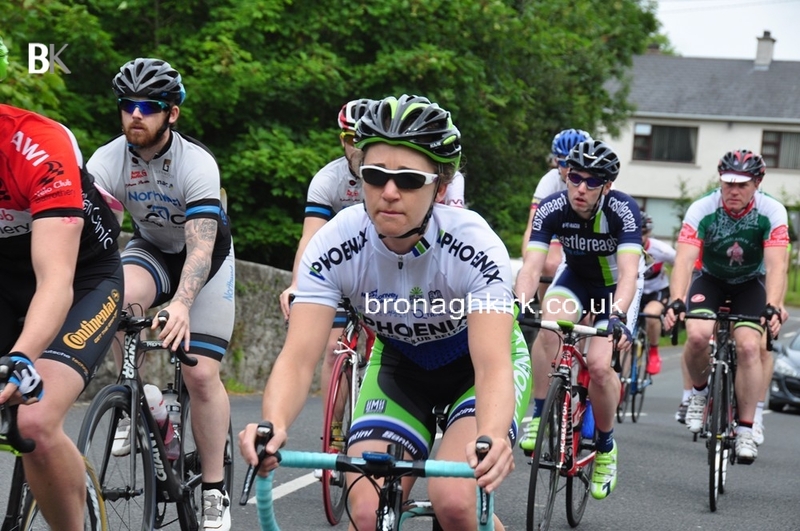 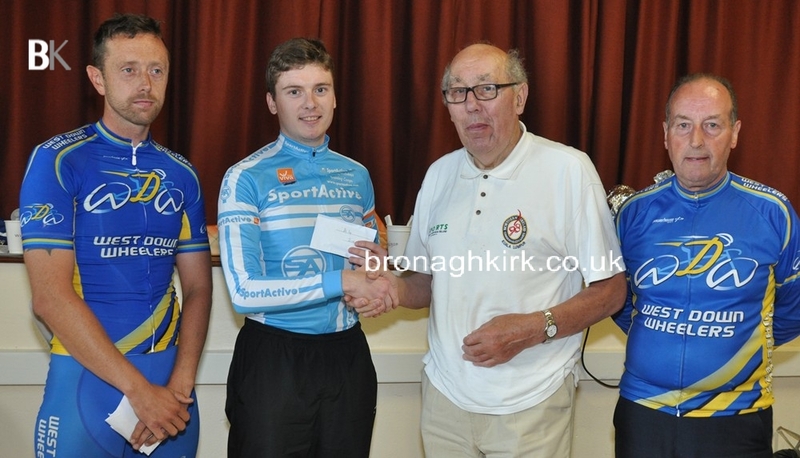 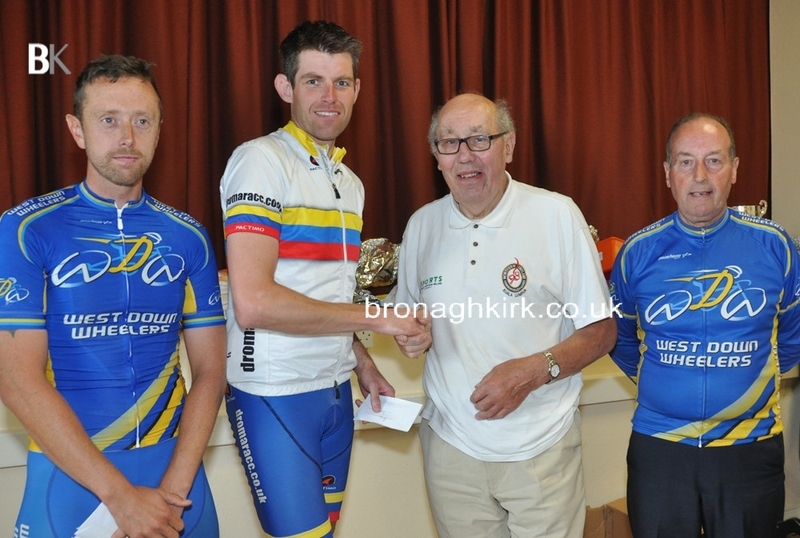 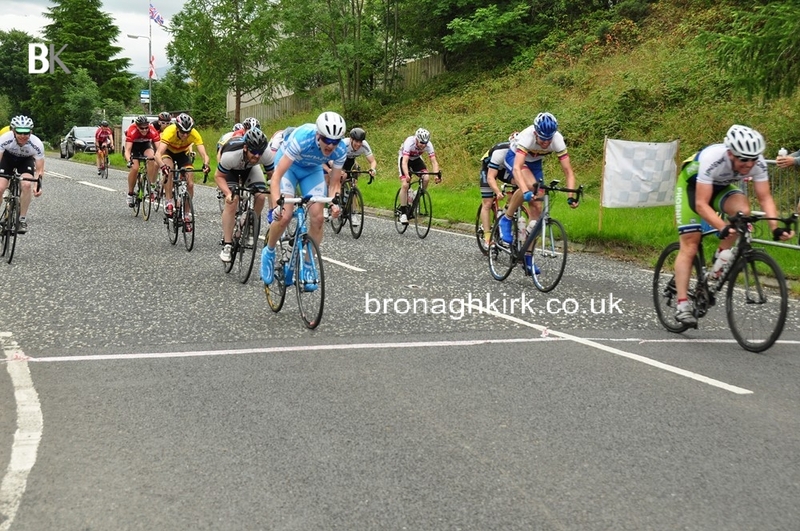 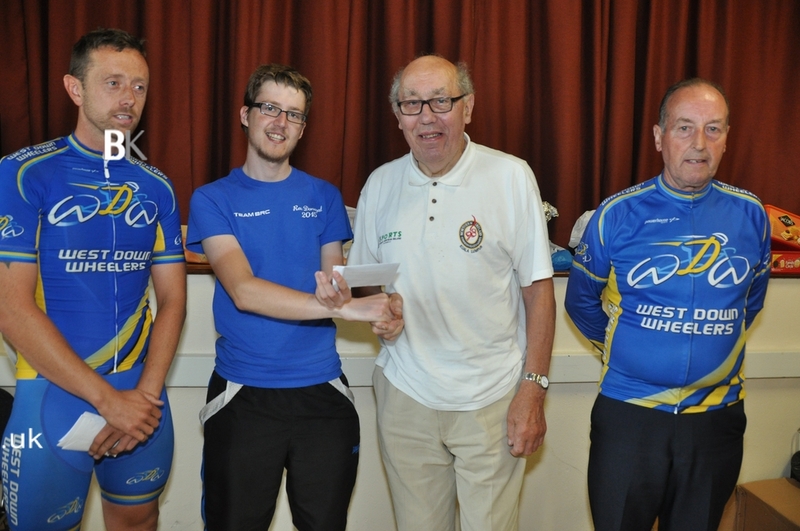 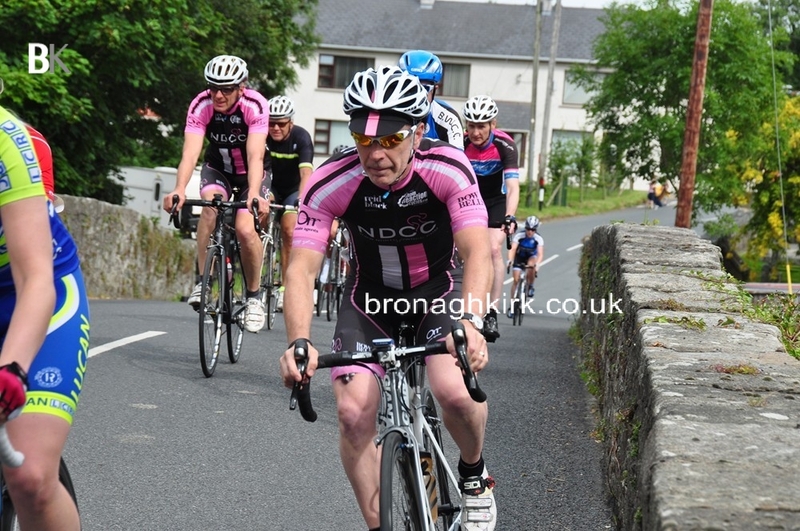 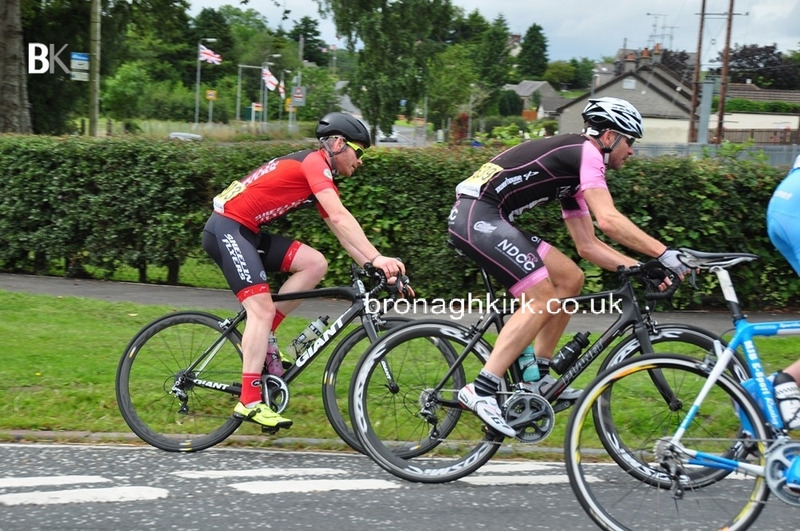 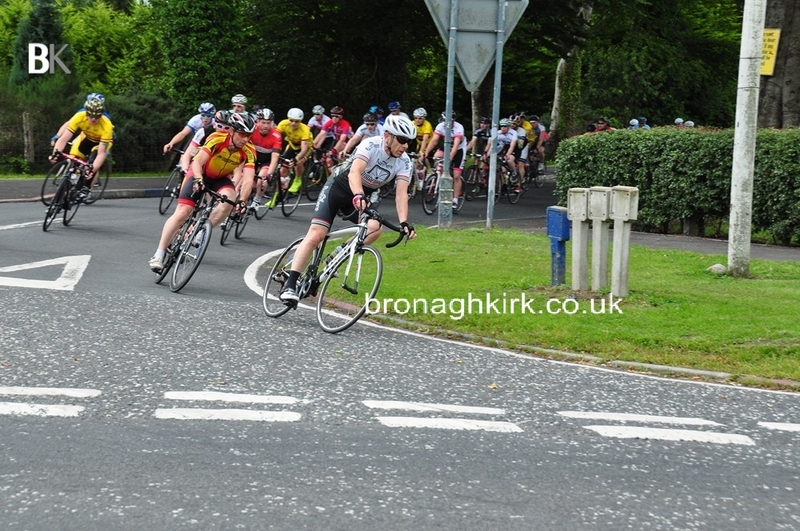 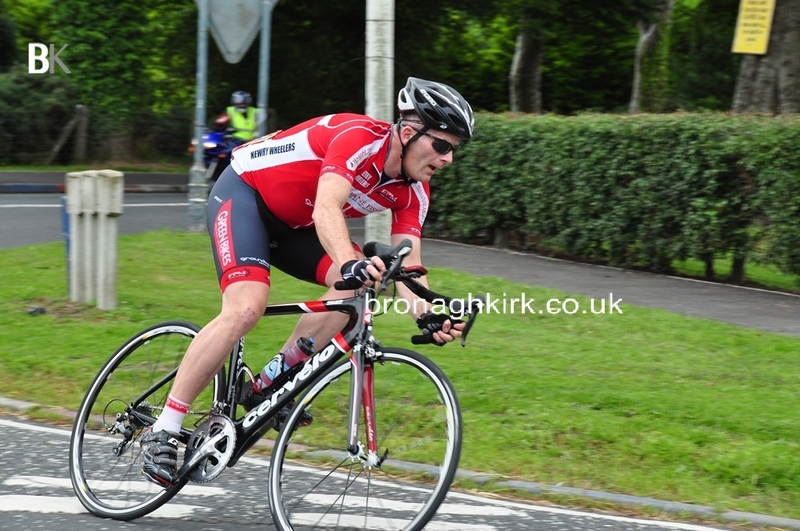 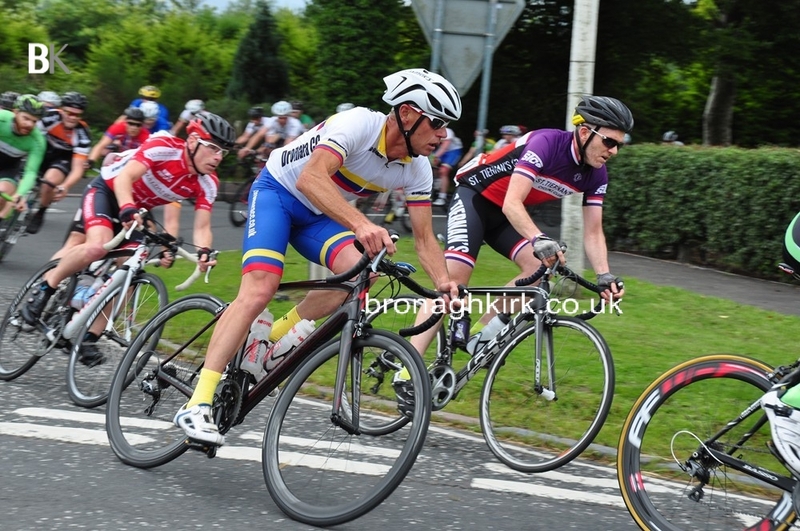 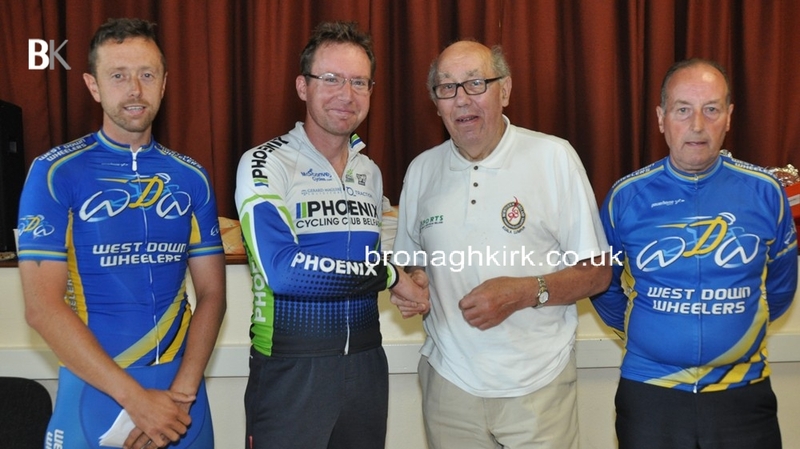 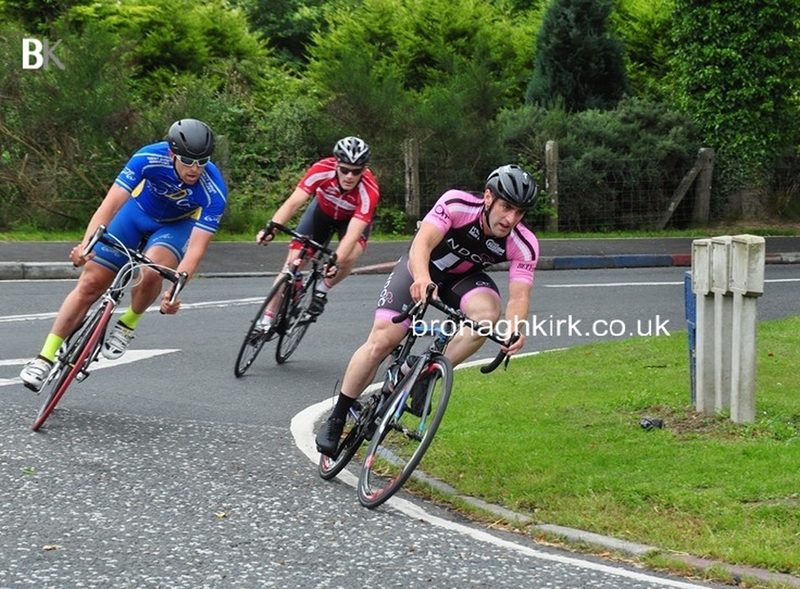 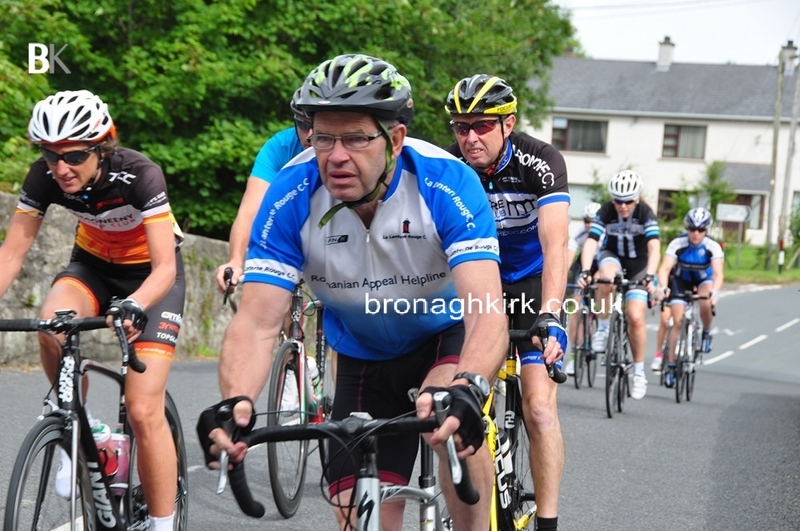 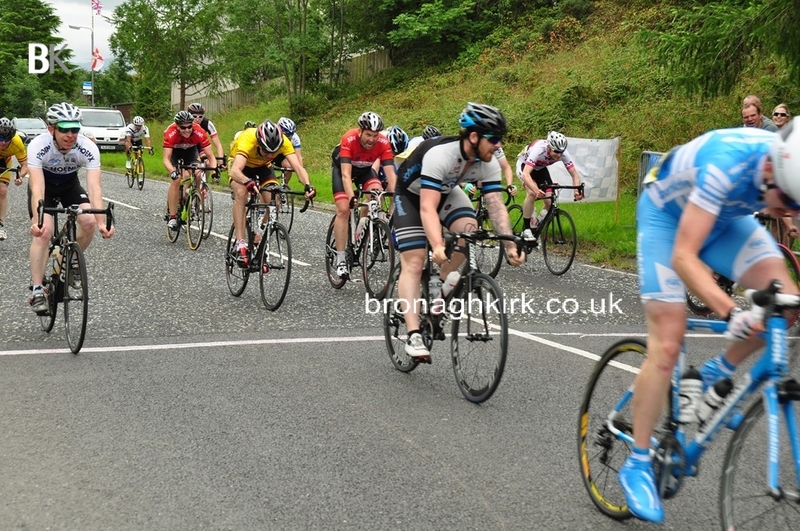 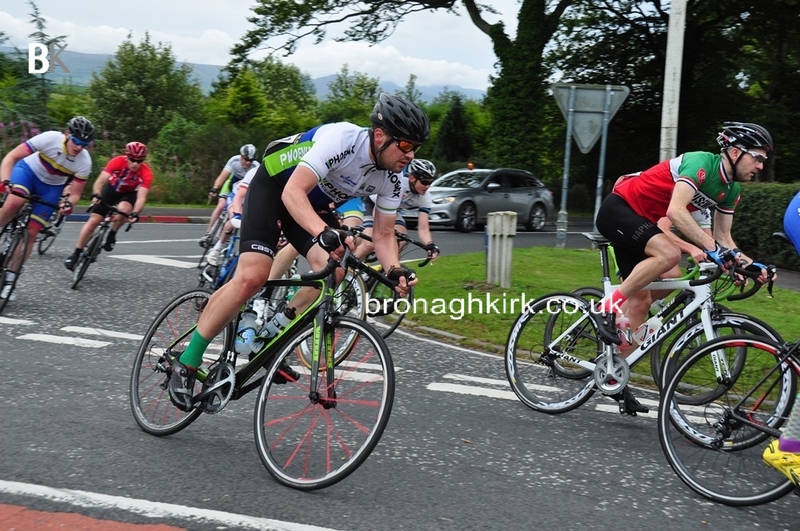 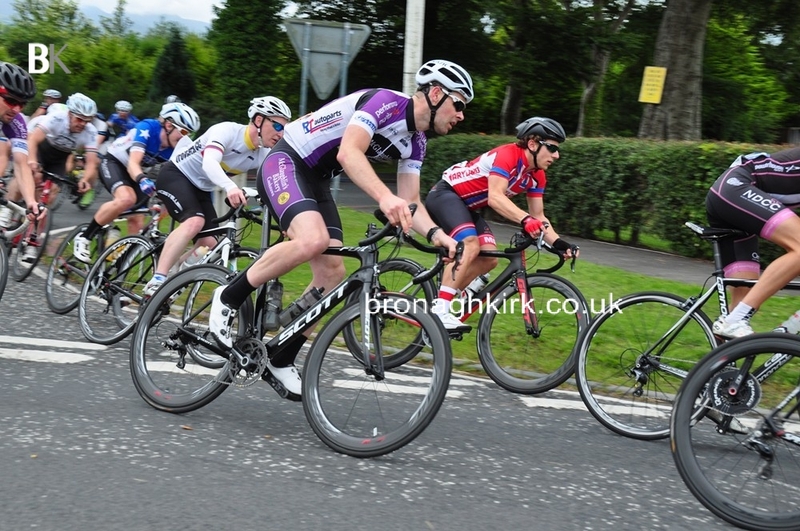 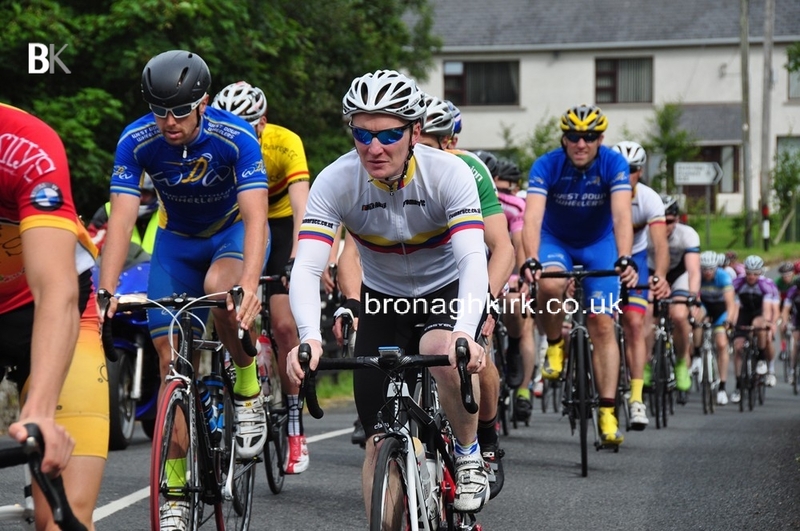 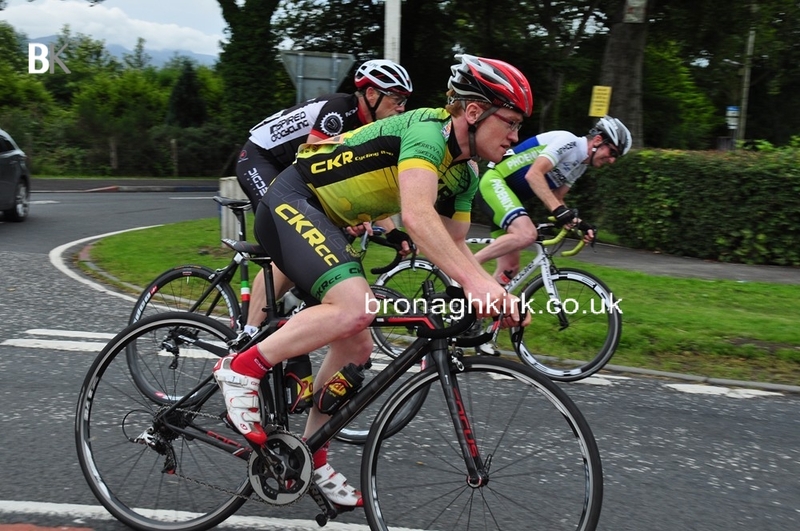 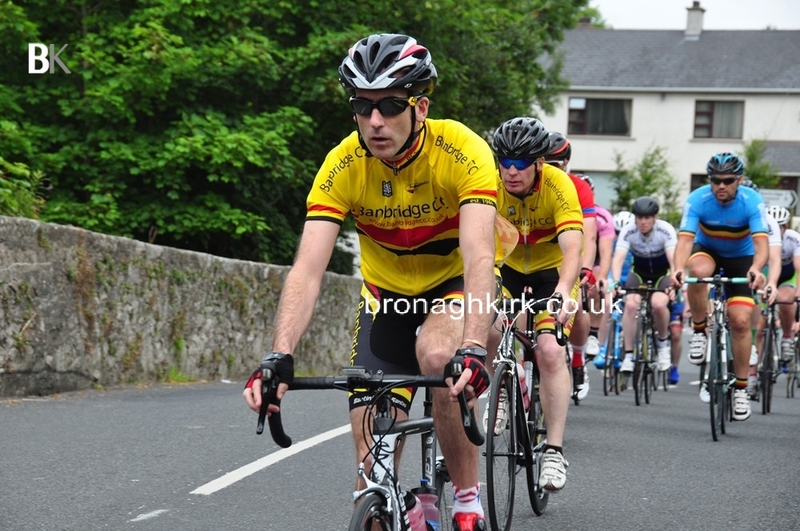 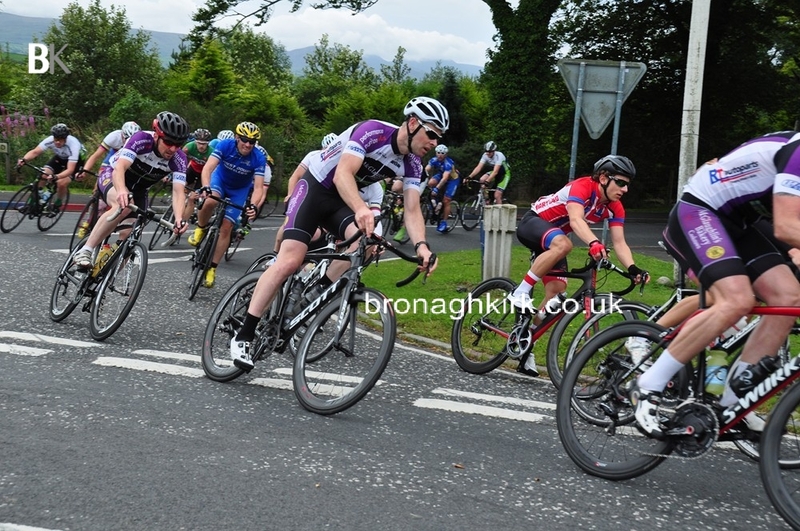 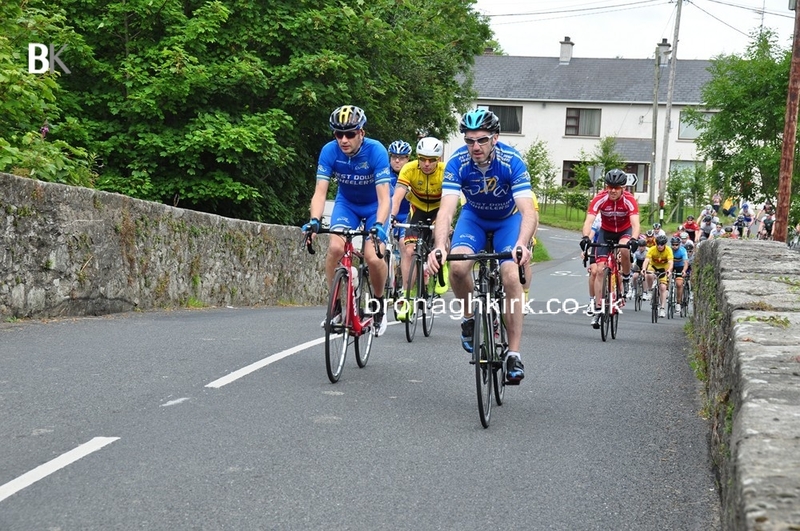 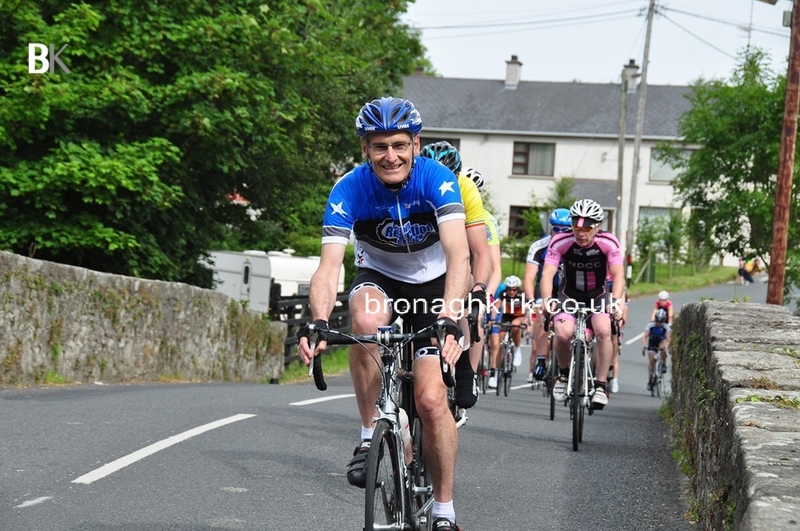 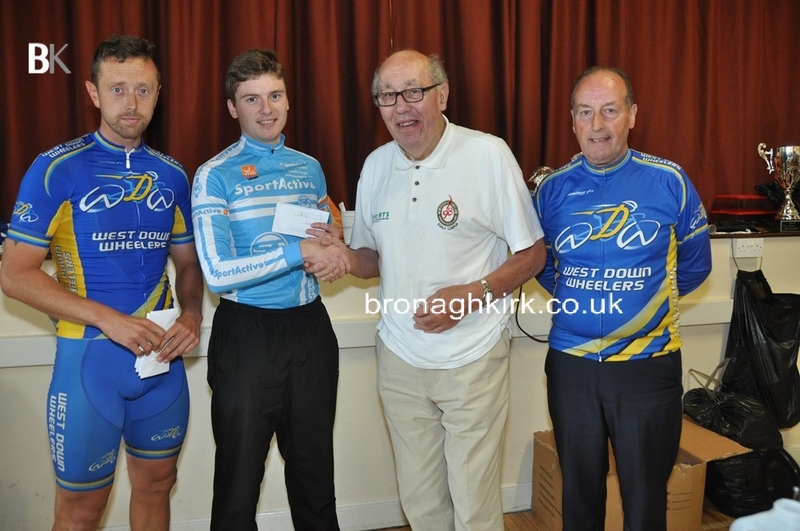 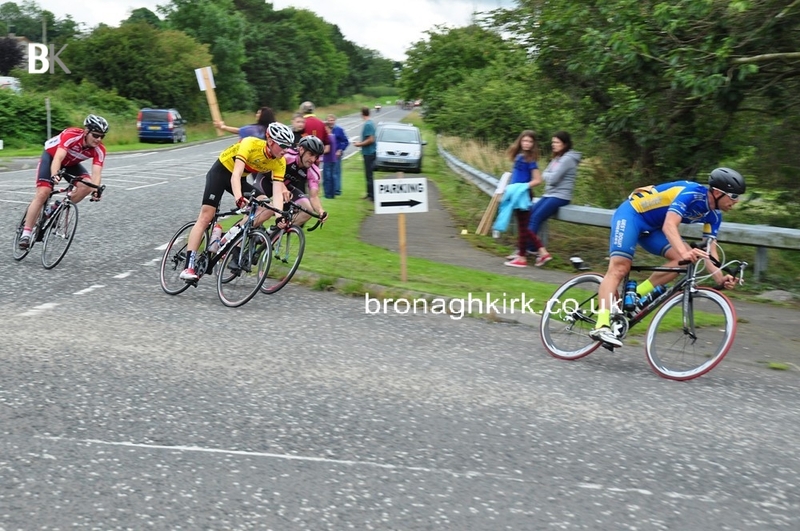 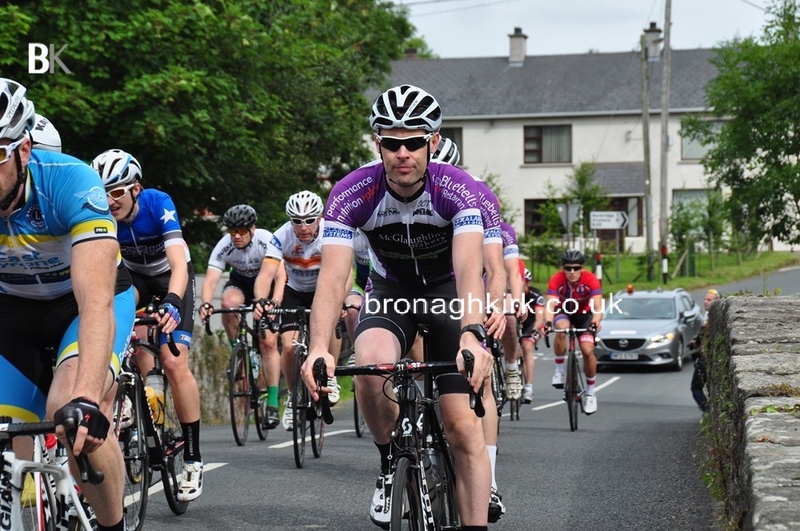 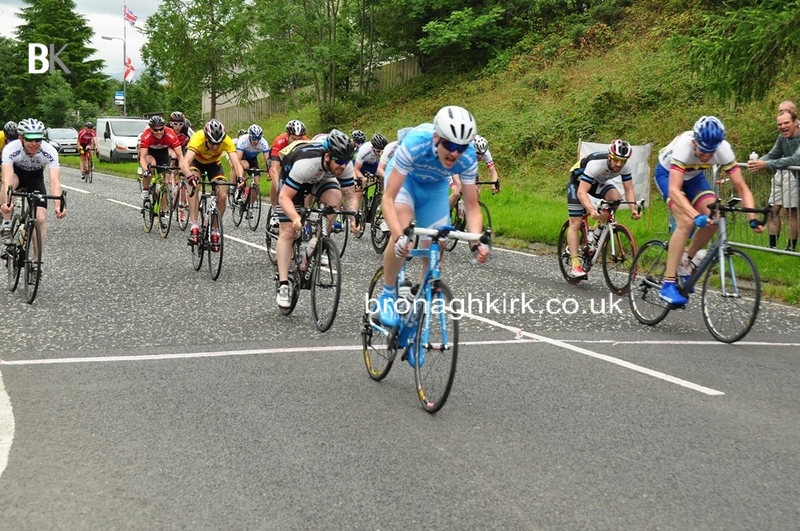 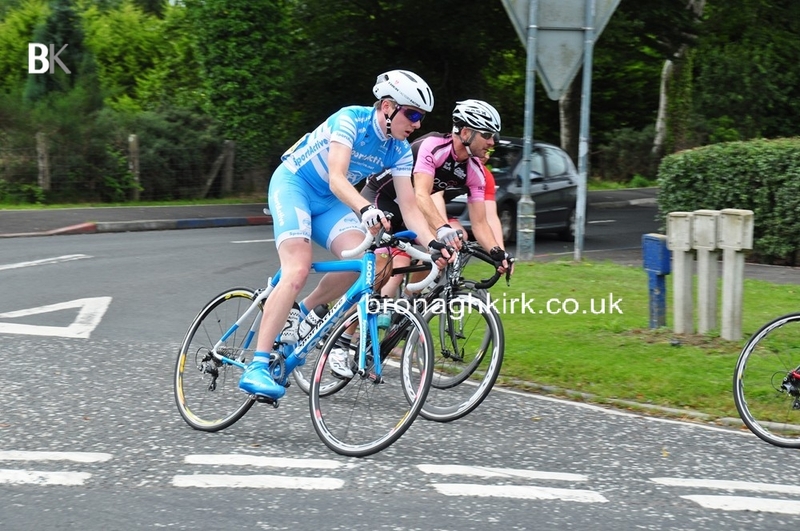 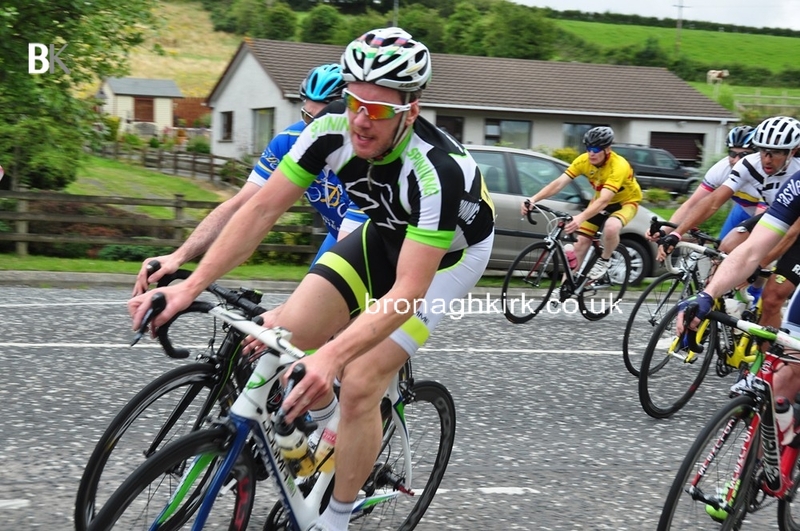 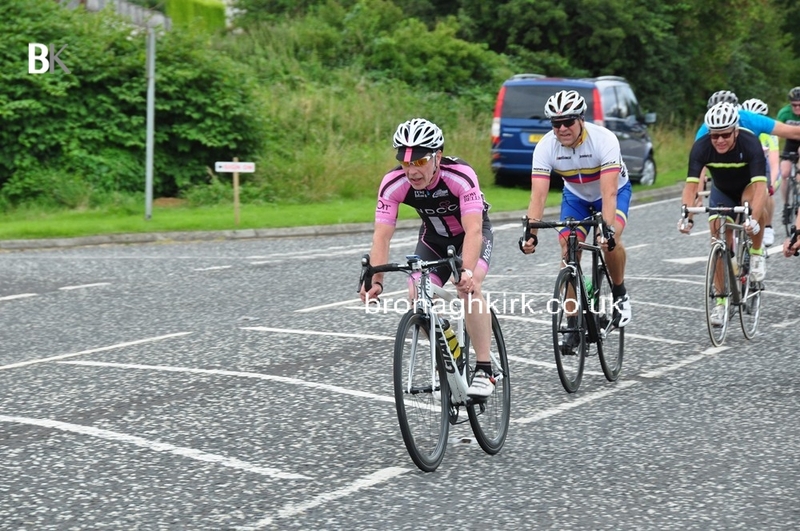 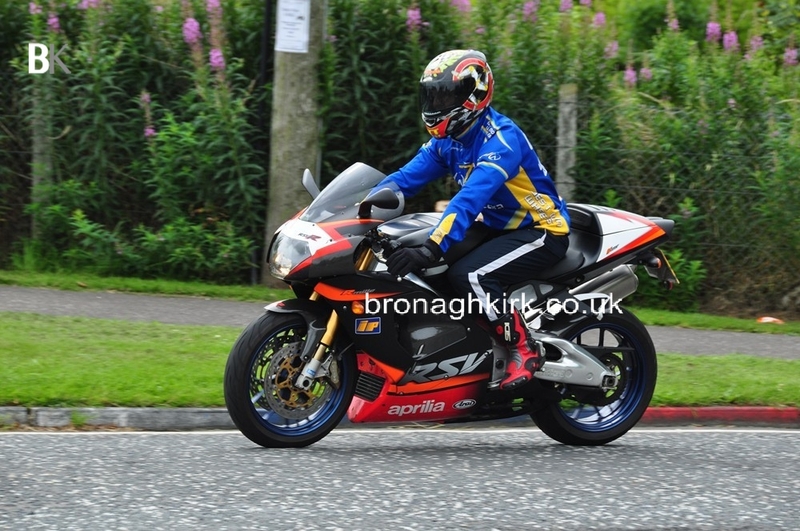 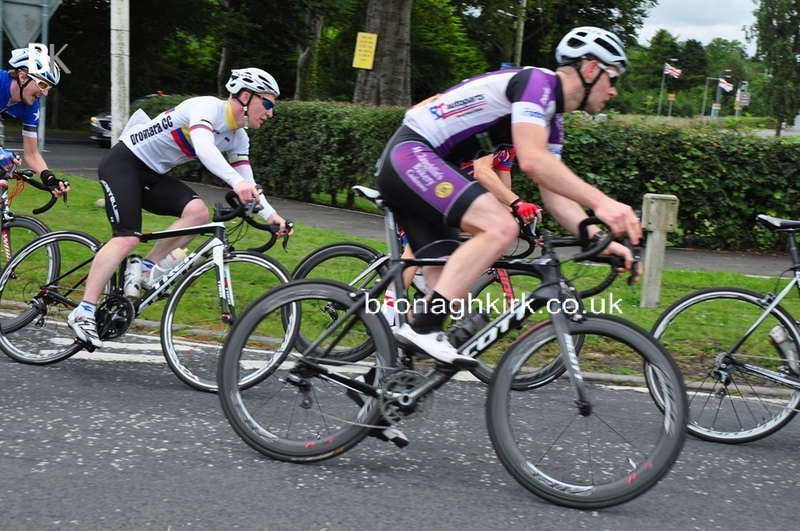 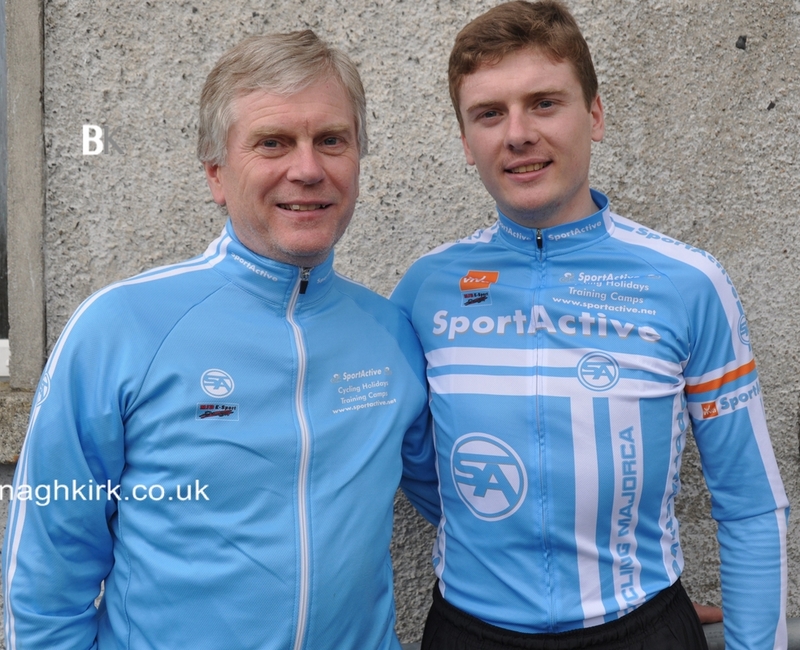 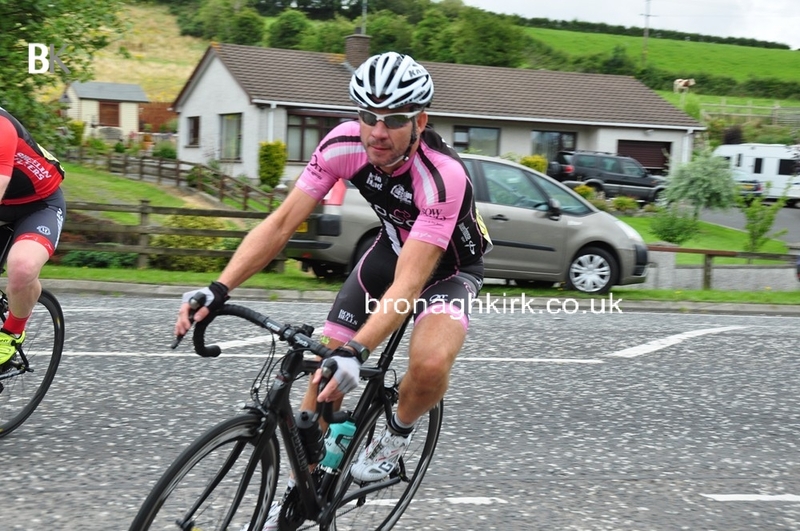 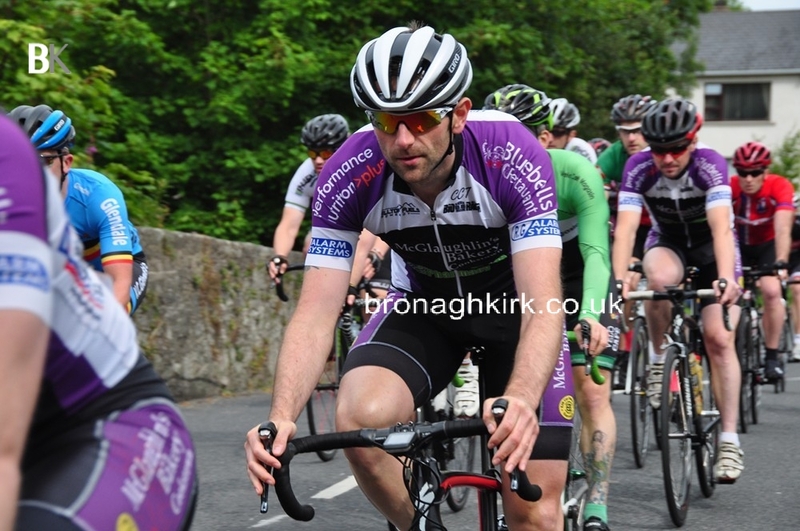 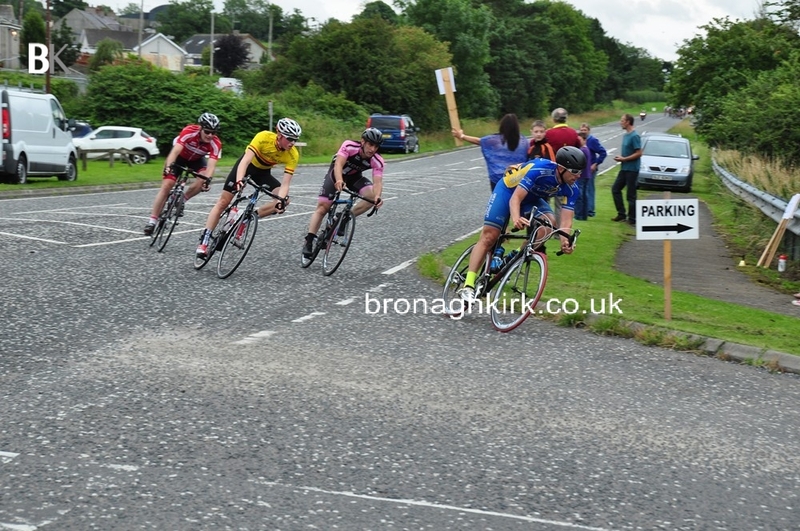 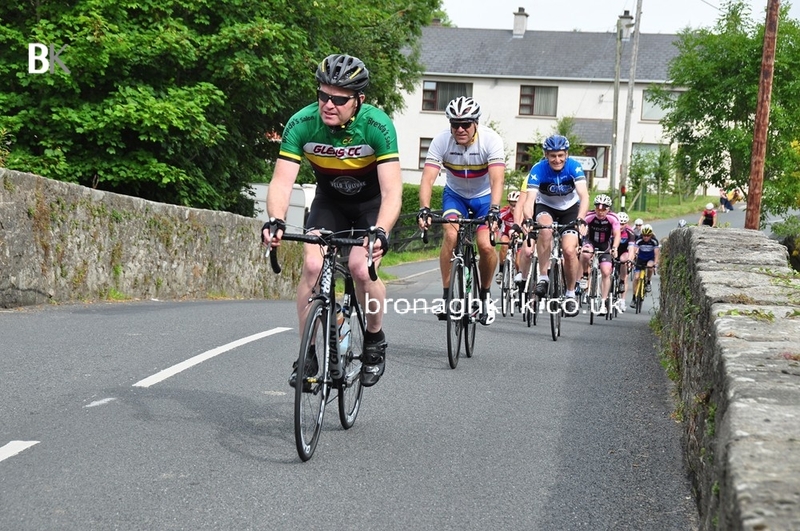 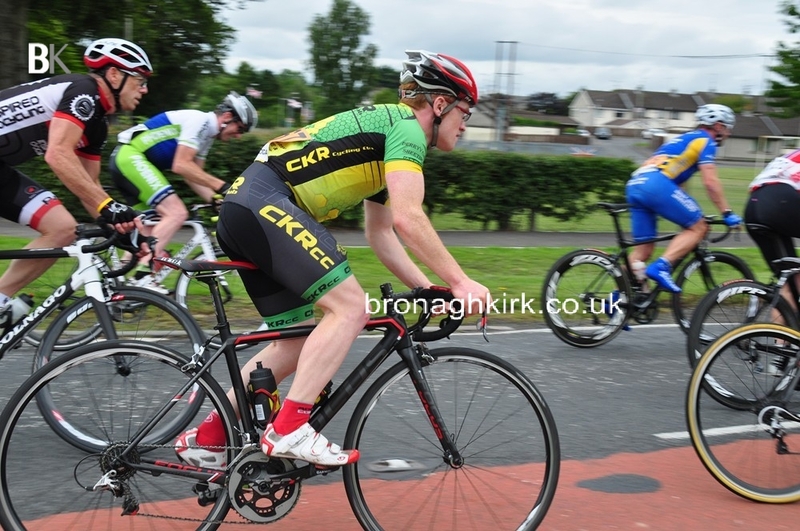 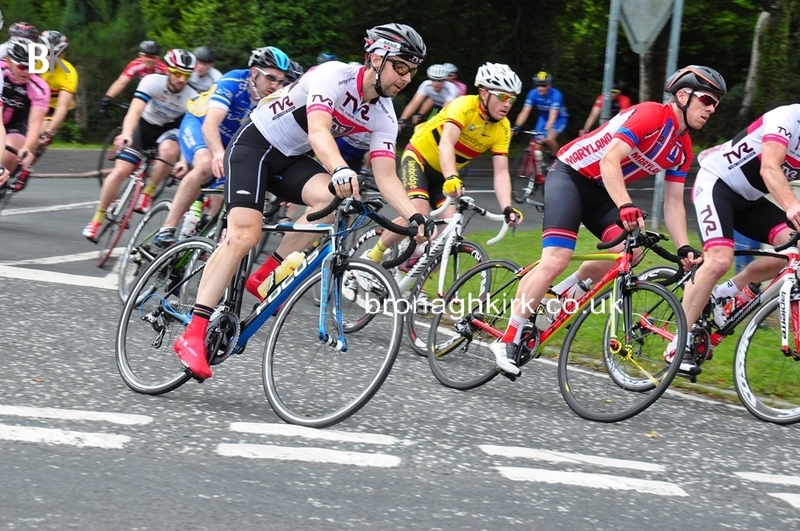 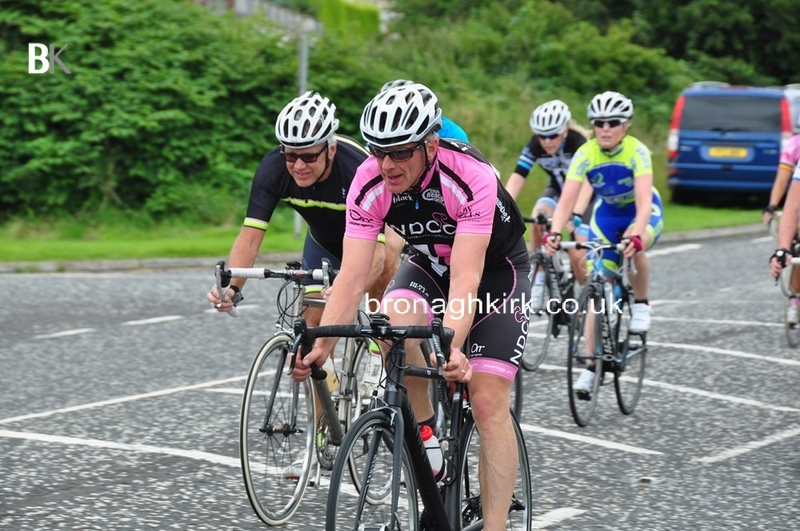 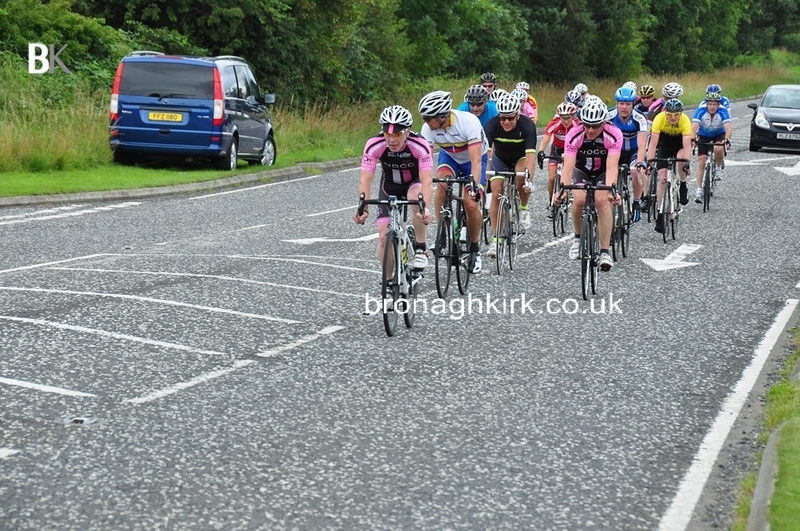 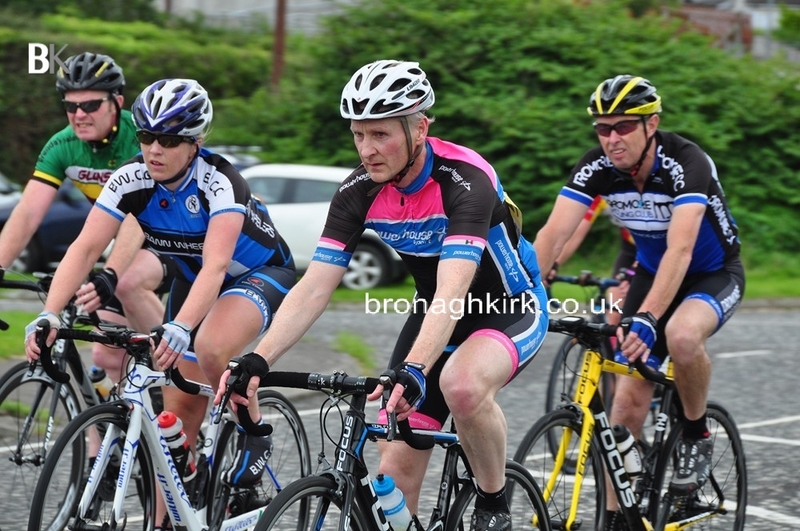 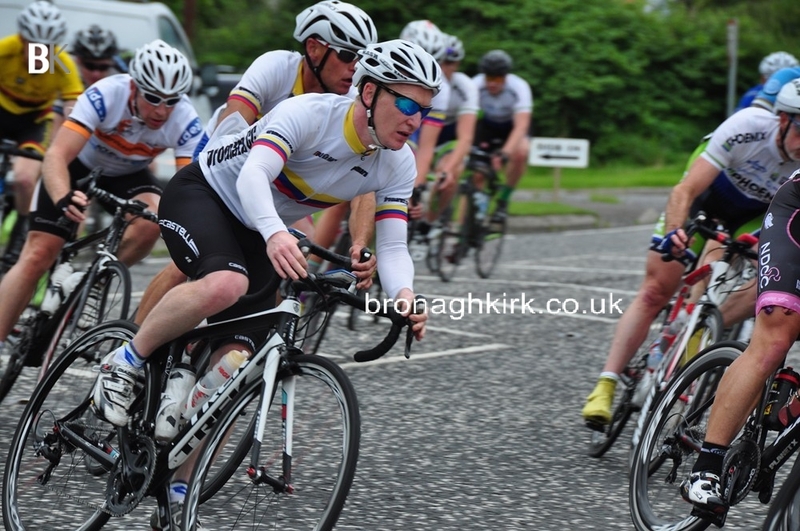 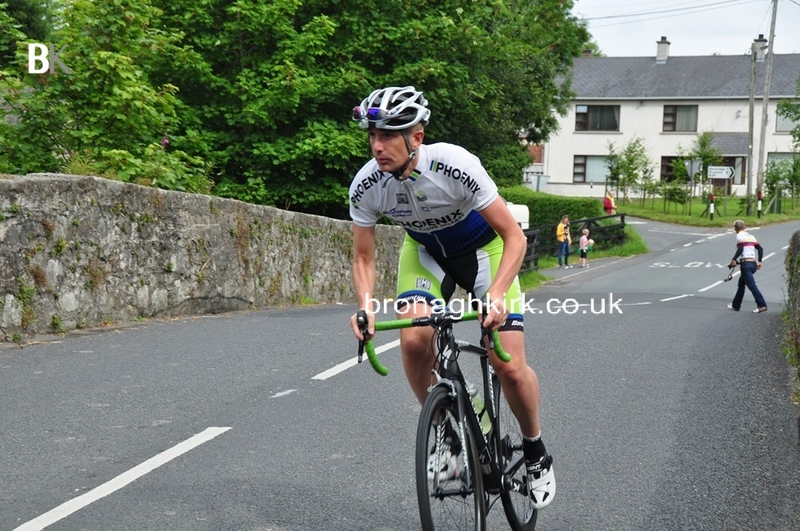 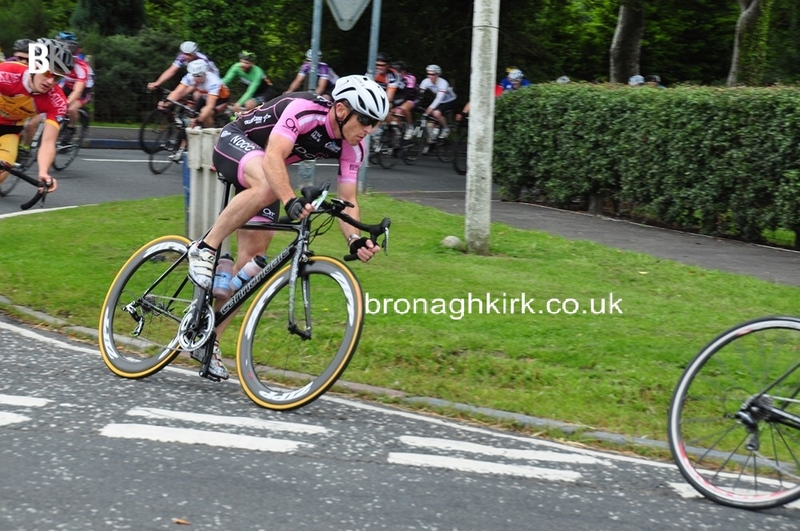 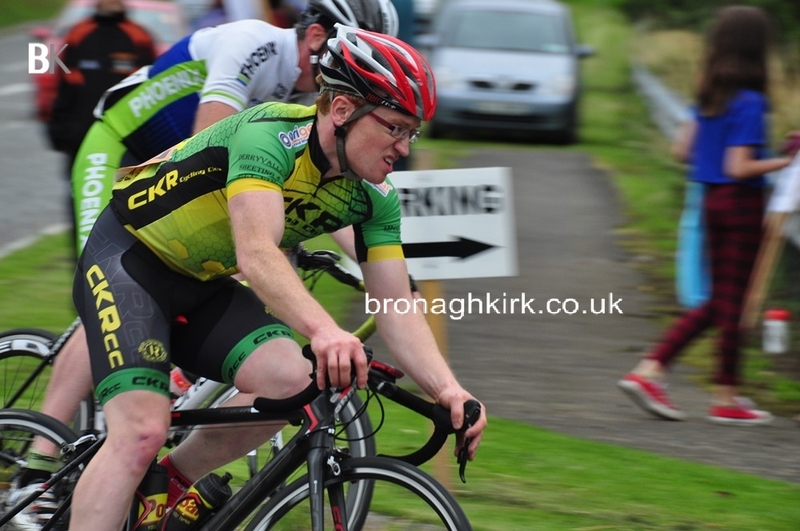 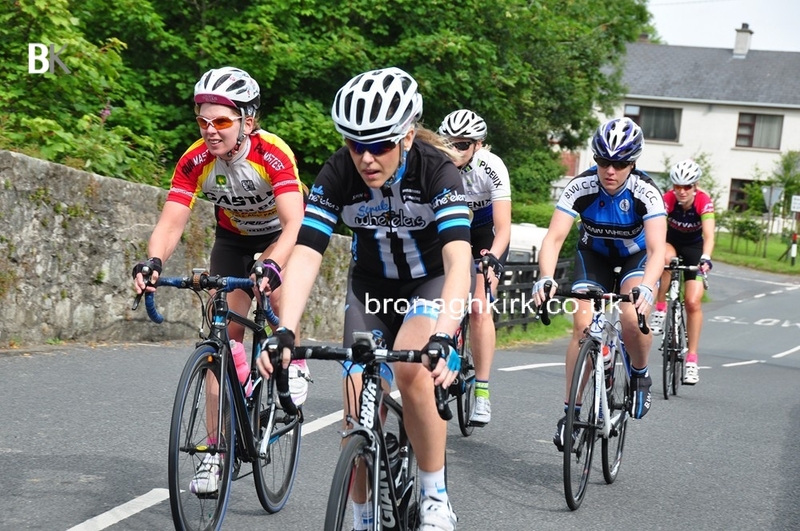 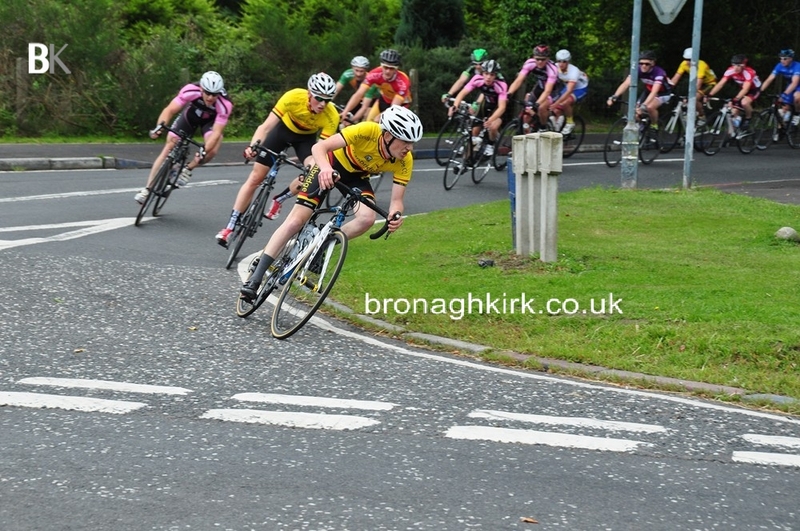 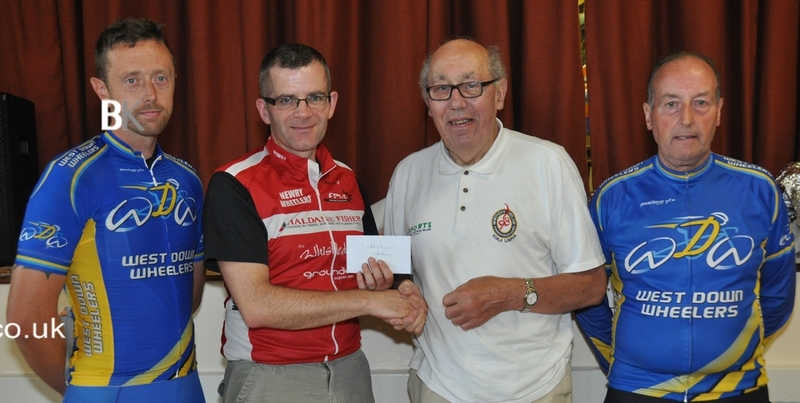 Les Brown (Phoenix) won the A4 race from Chris Birney (Sportactive) and Graham Beckett (Dromara). 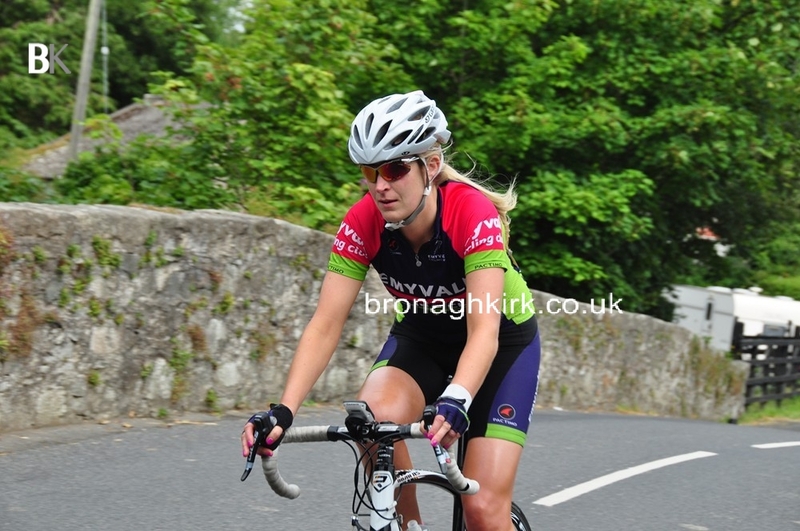 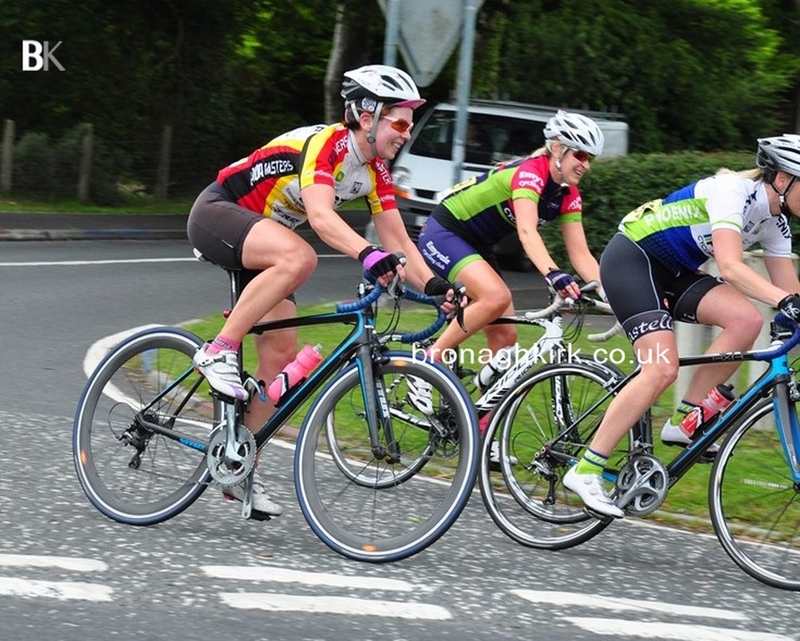 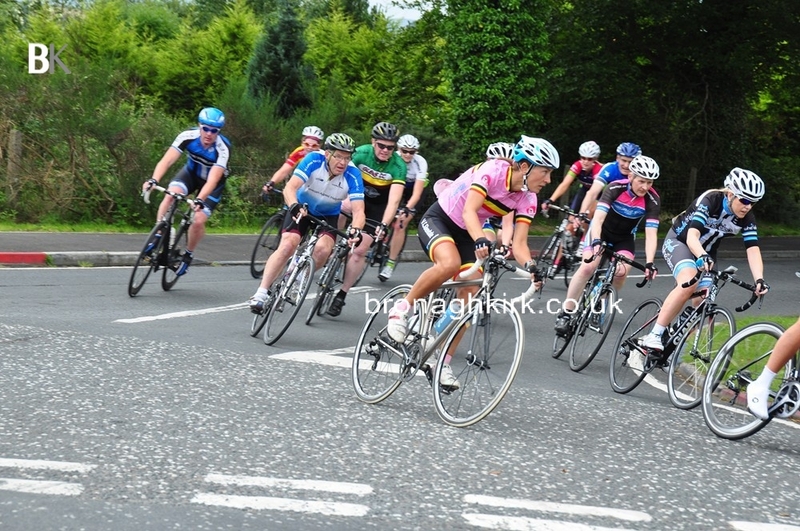 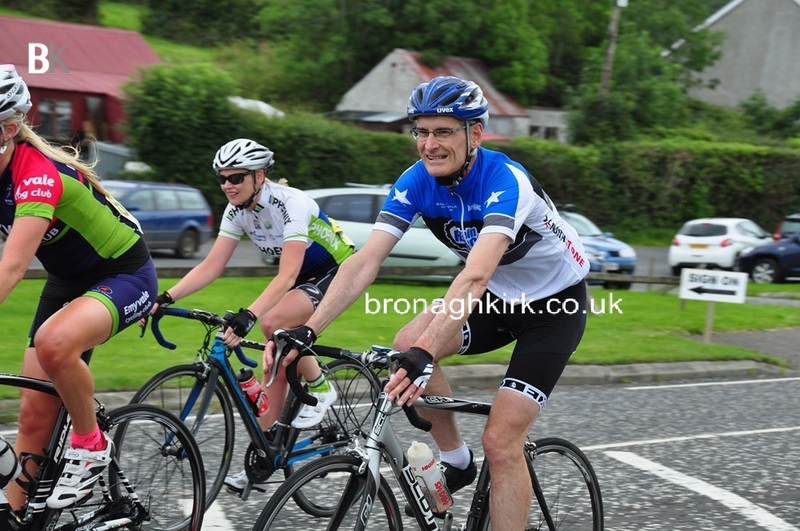 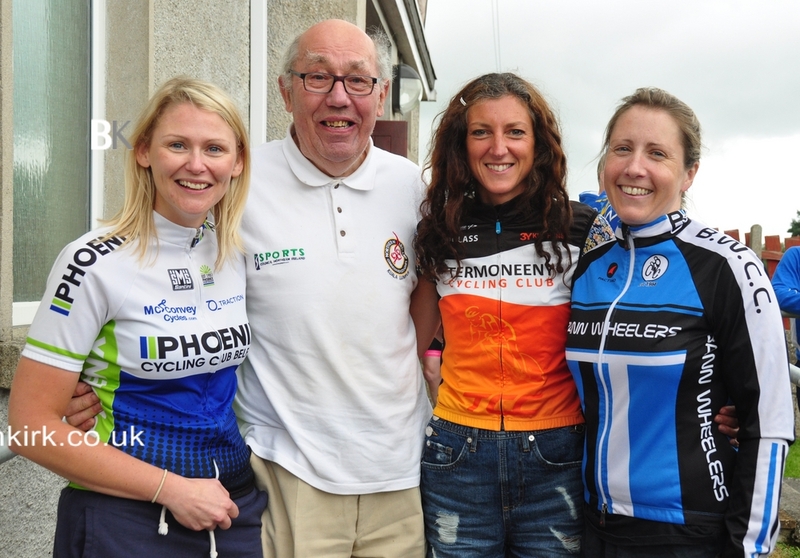 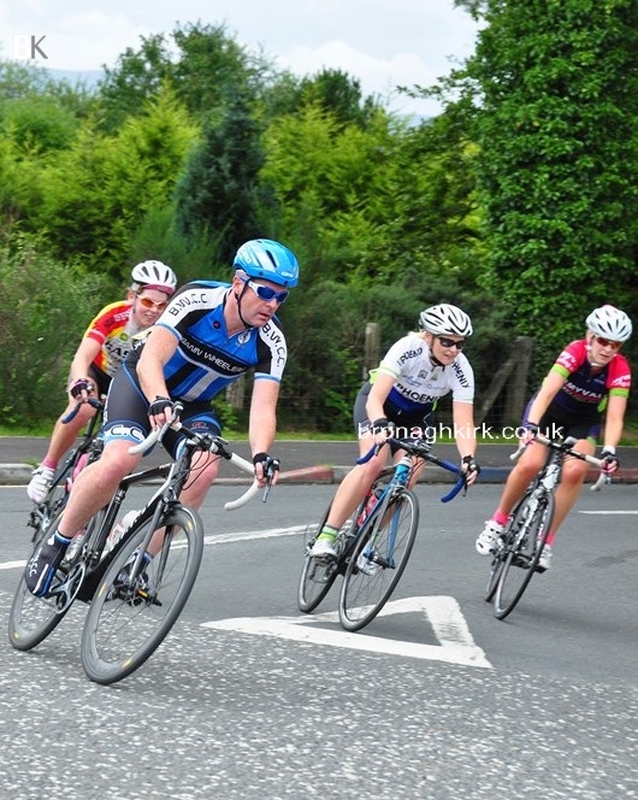 Brian Doherty (Bann Wheelers was best of the masters who raced over three laps of the circuit while Joanne Reegan (Termoneeny) won the women’s race. 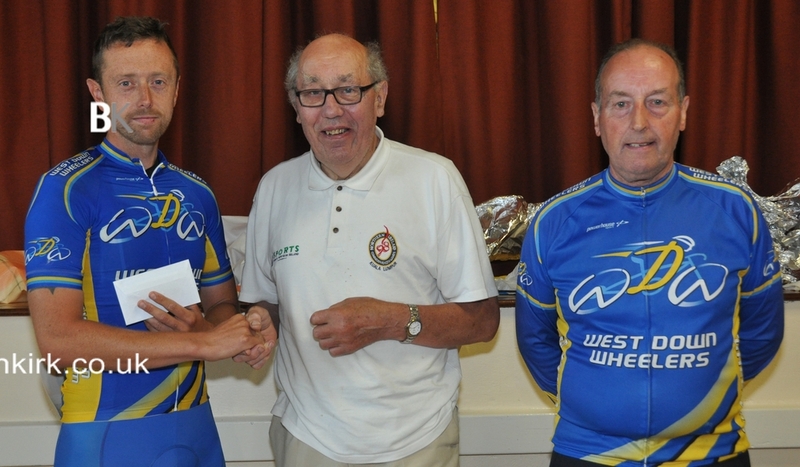 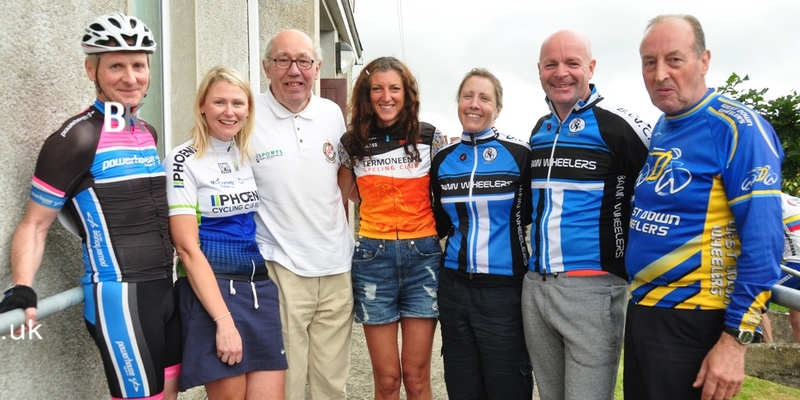 The West Down Wheelers treated all to their usual after race feast back in the Katesbridge Orange Hall. 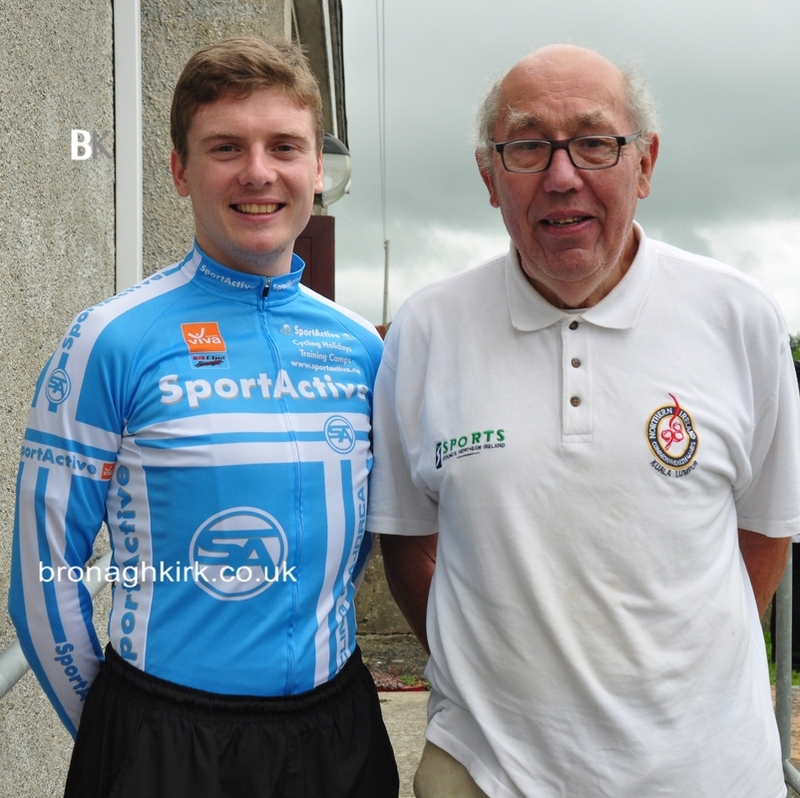 A surprise spectator was former Multi Champion and National Team Director Morris Foster MBE, who was asked to present the prizes along with Billy Maxwell aka ‘The Lord Mayor of Katesbridge’. 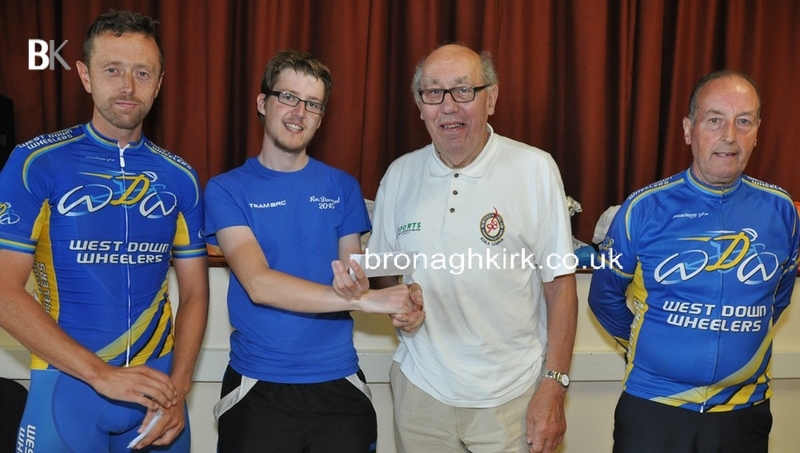 Big Mo was accompanied by Harford Logan who won the BBC TV Sheep Dog Trials ‘One Man and His Dog’ in 1988. 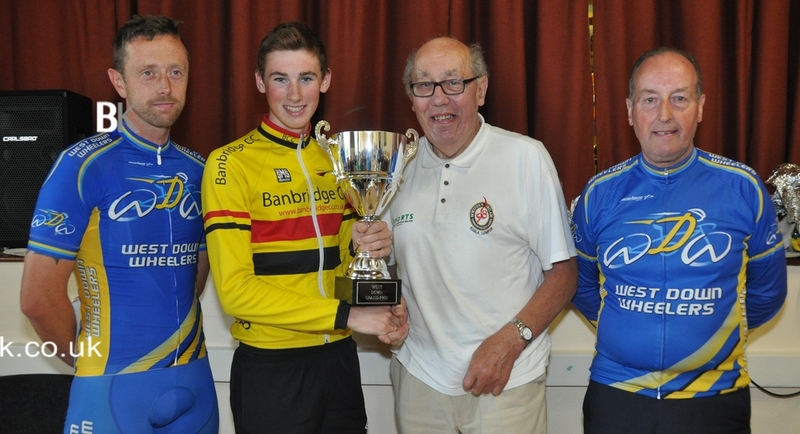 Harford was originally from Katesbridge. 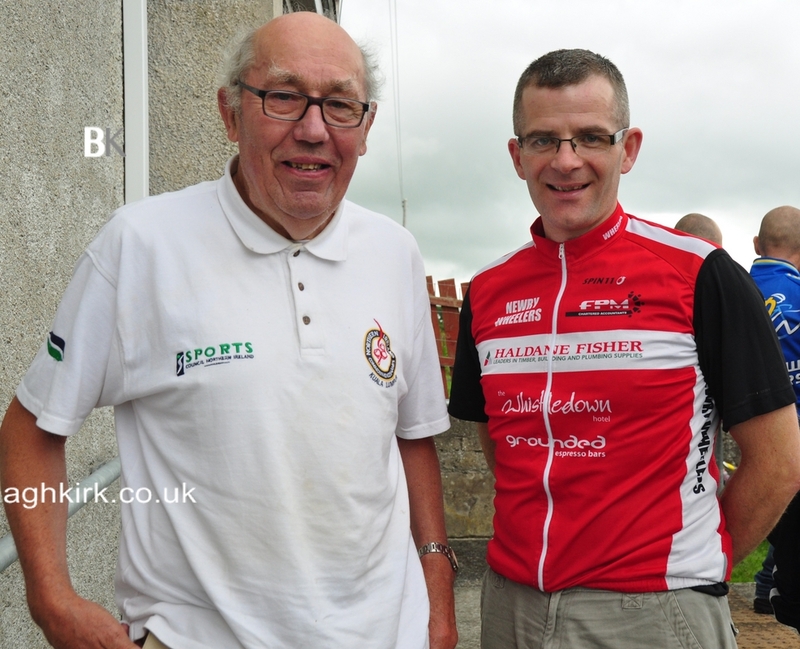 This gentleman is the ‘Master’ of all sheepdog, has won many national titles, competed at world level, judged across Europe America and Canada. 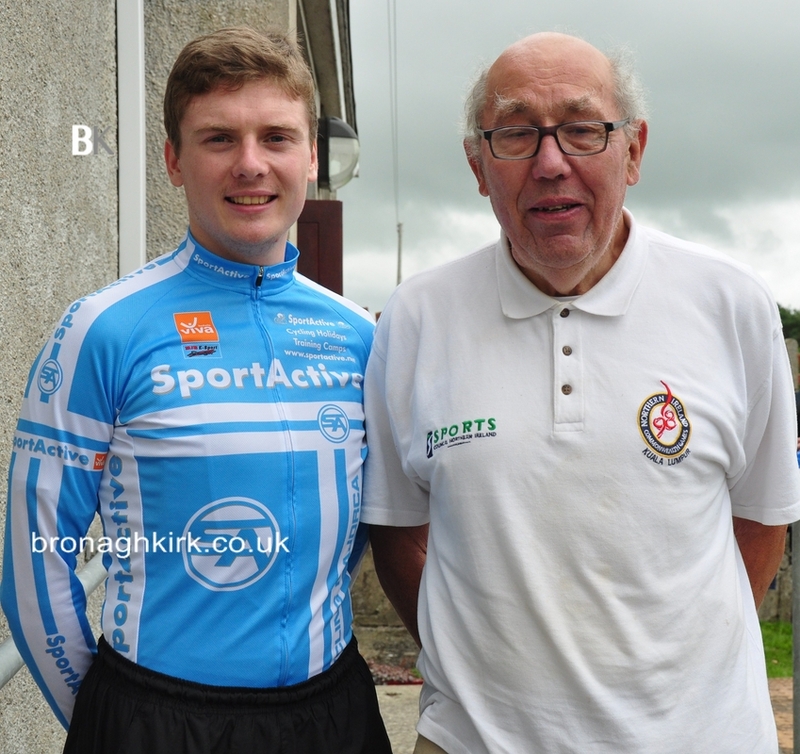 He was also a cyclist and remembers racing around Newtownards airfield, with Tommy Givan and Geordie. 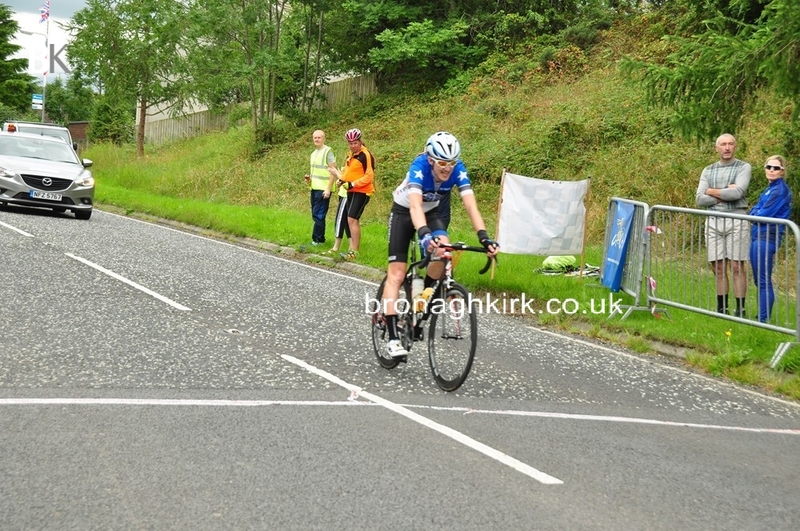 (that wasn’t today or yesterday). 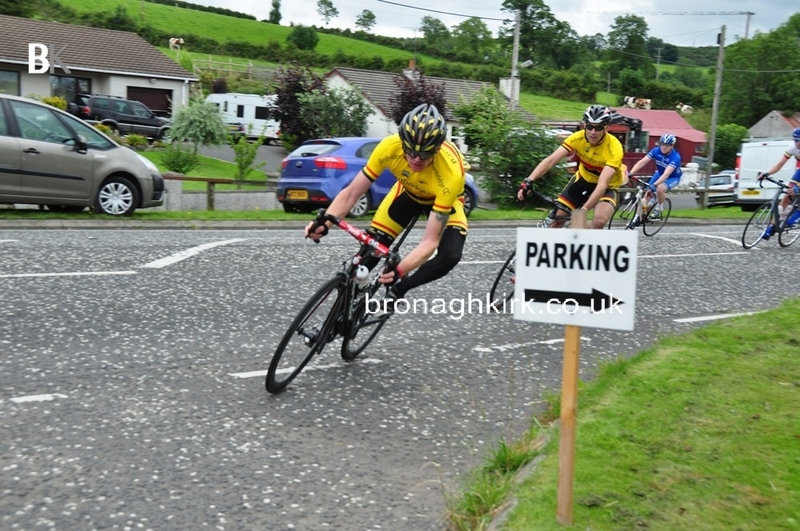 The two young at heart competitive lads were out to cheer on all the cyclists today at Katesbridge.